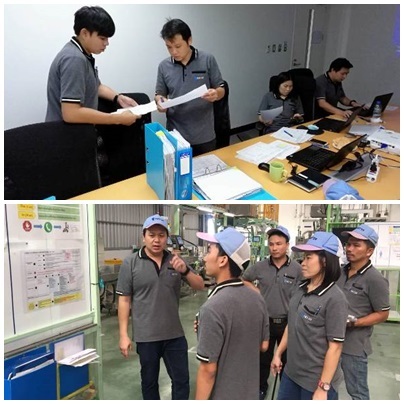 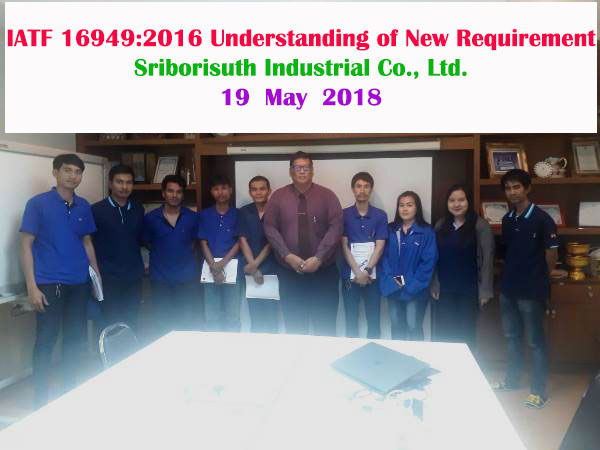 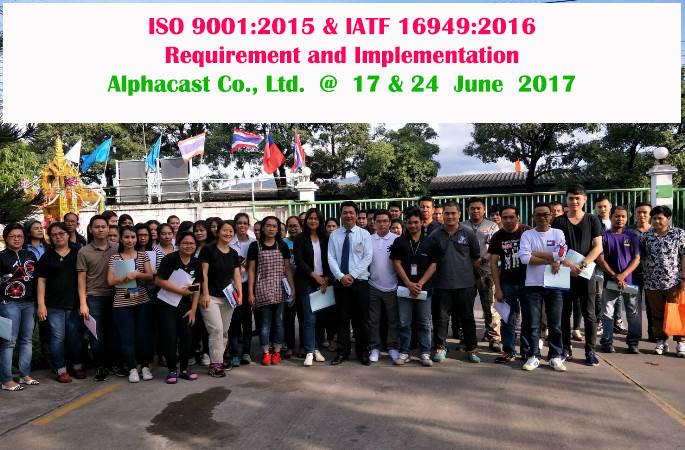 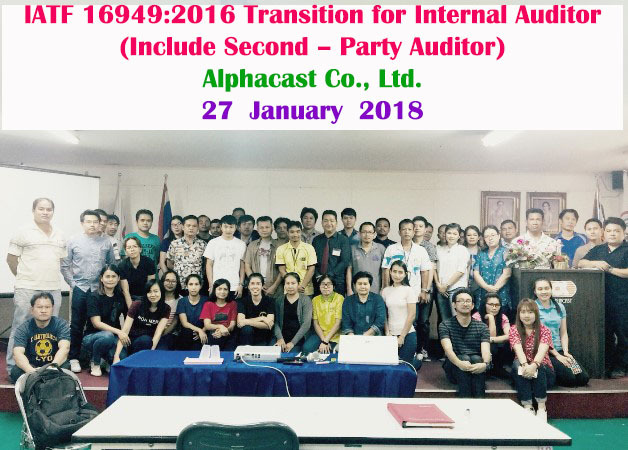 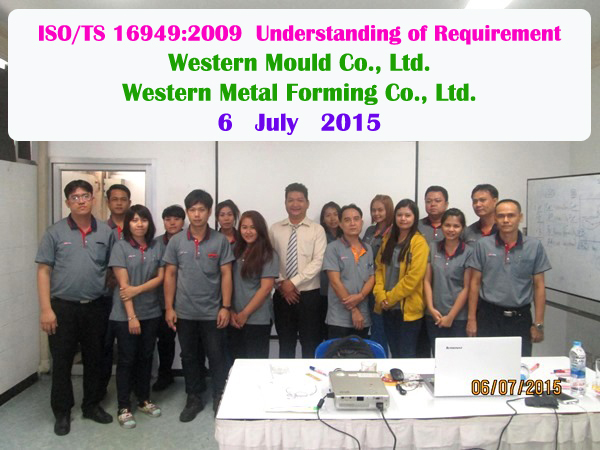 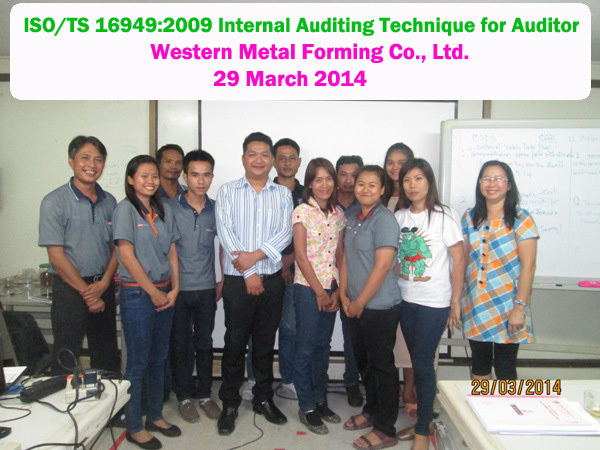 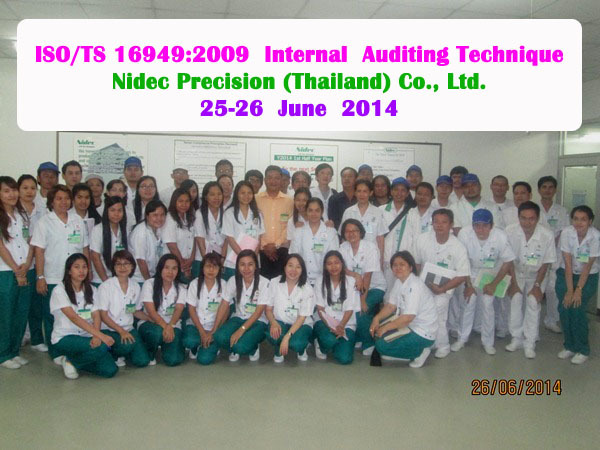 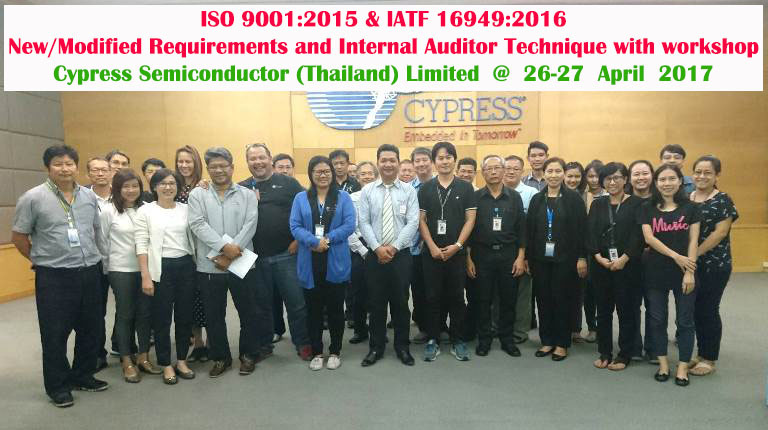 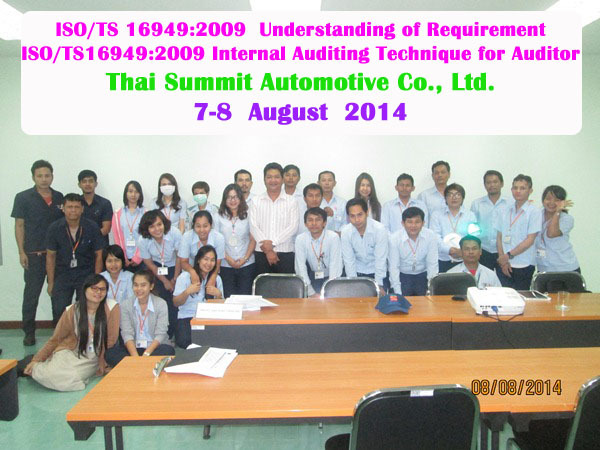 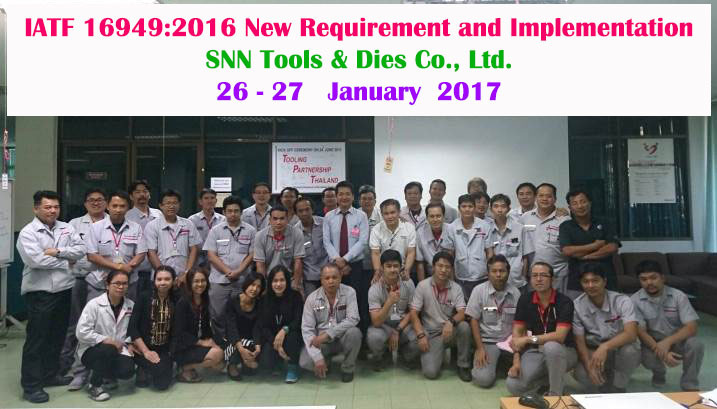 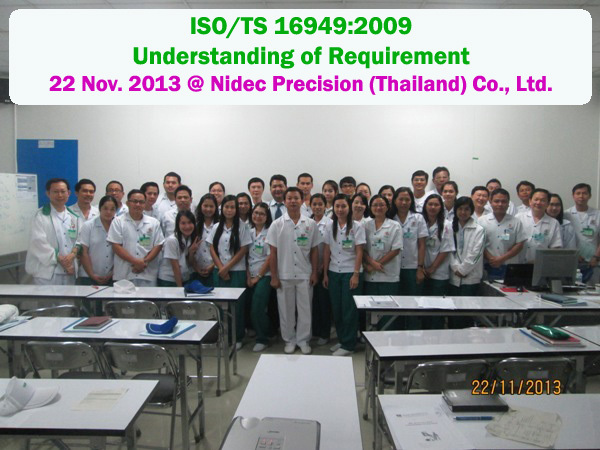 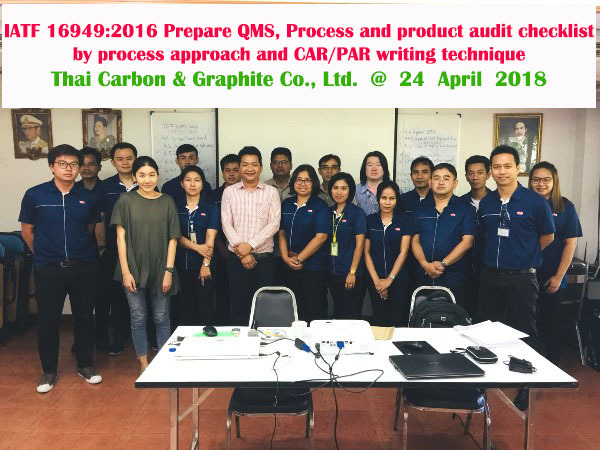 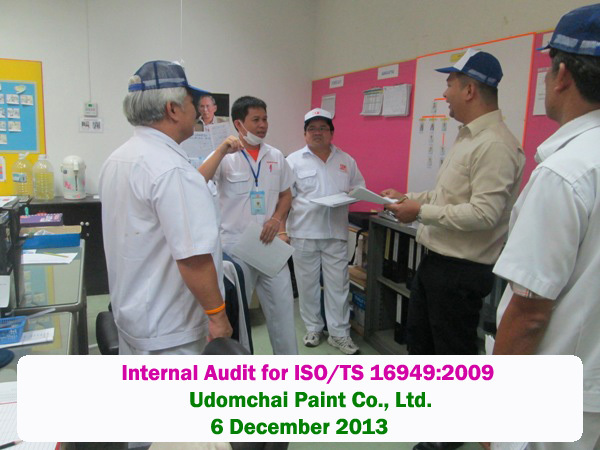 1 December 2018 @ CNS Parts Manufacturing Co., Ltd.
9 November 2018 @ SNN Tools & Dies Co., Ltd.
25 August 2018 @ Alphacast Co., Ltd.
6 July 2018 @ Western Metal Forming Co., Ltd.
16 June 2018 @ Thai Carbon & Graphite Co., Ltd.
16-17 May 2018 @ Yamazaki Electronics (Thailand) Co.,Ltd. 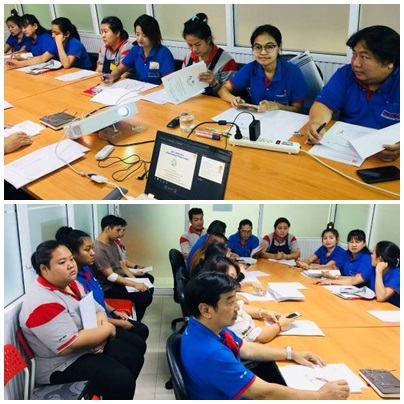 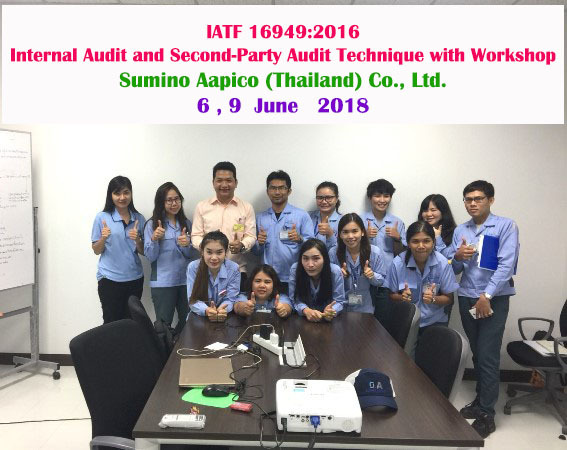 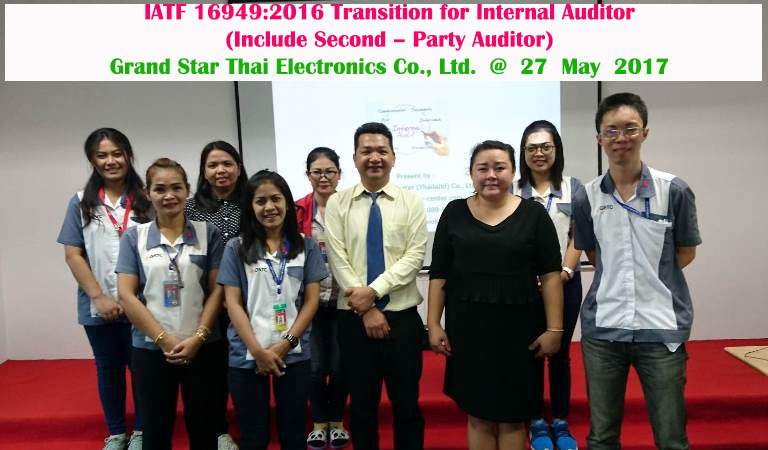 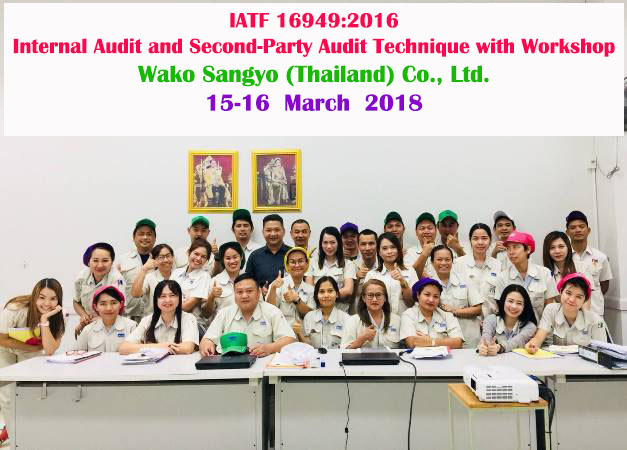 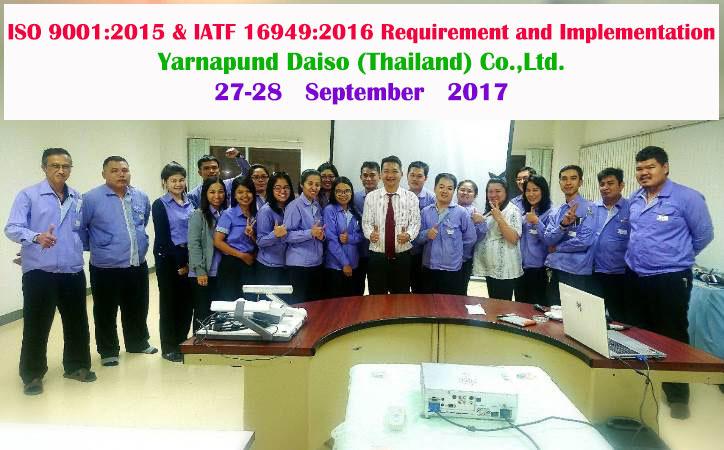 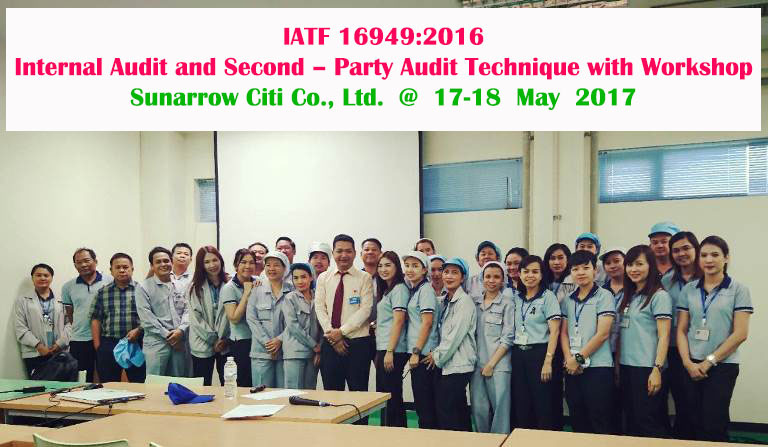 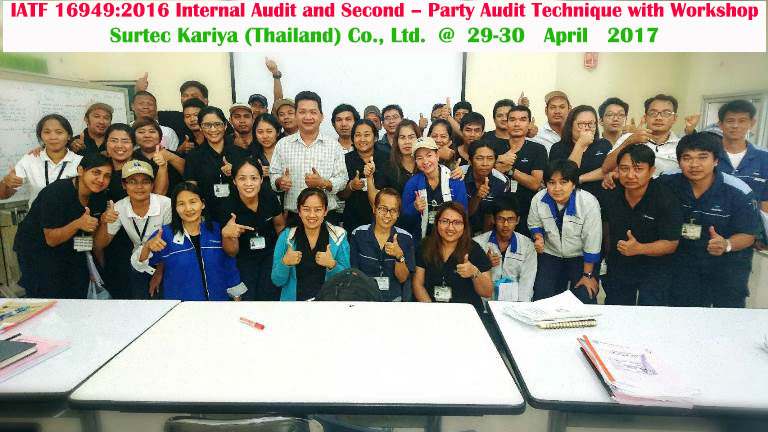 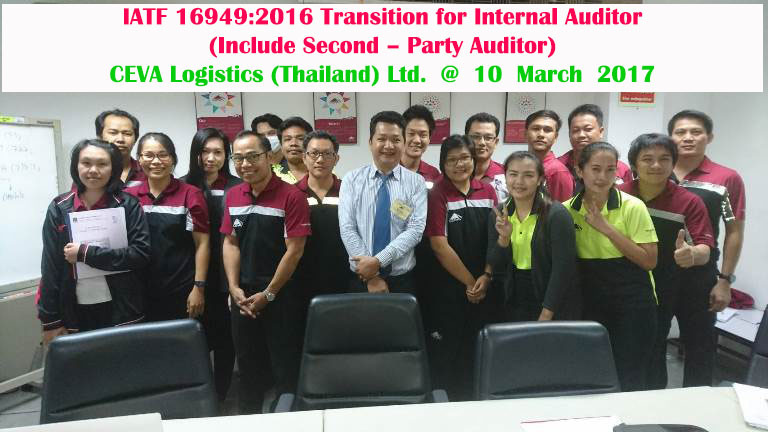 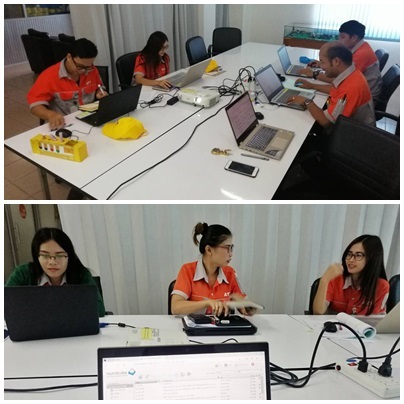 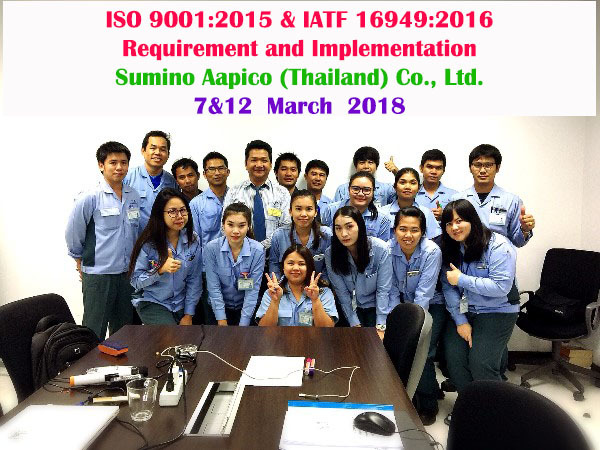 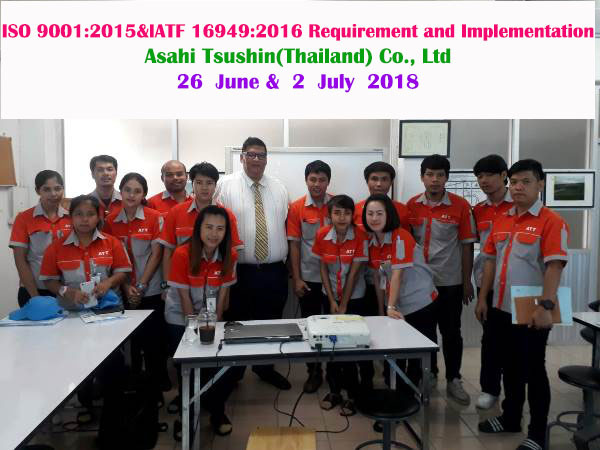 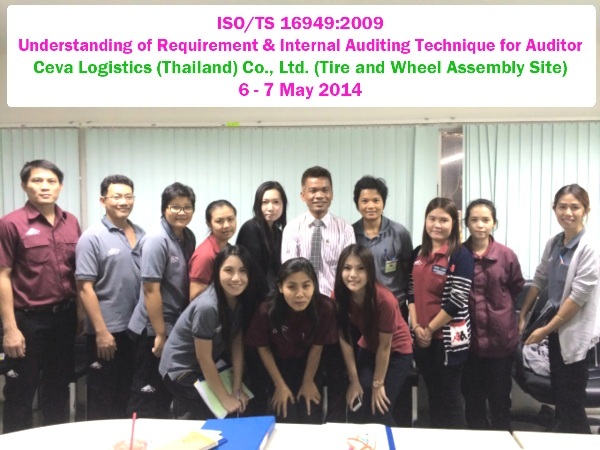 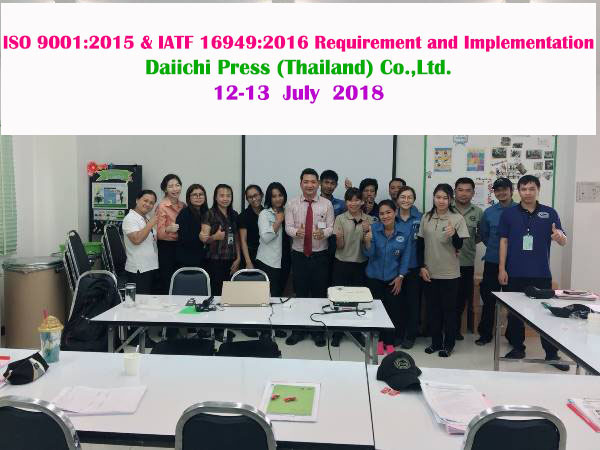 10 May 2018 @ Wako Sangyo (Thailand) Co., Ltd.
25-26 April 2018 @ Yarnapund Daiso (Thailand) Co.,Ltd. 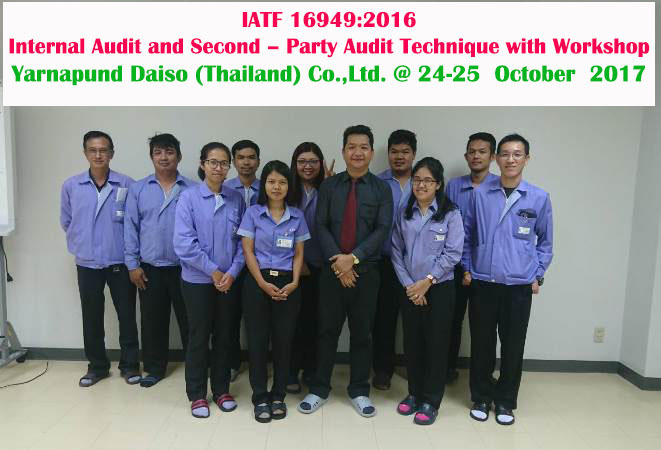 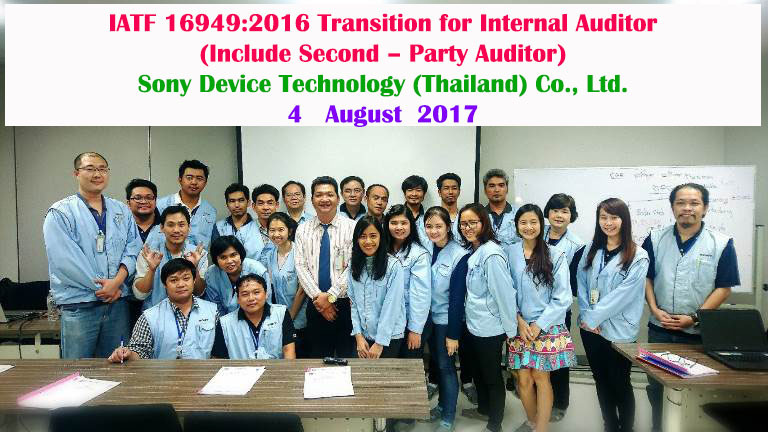 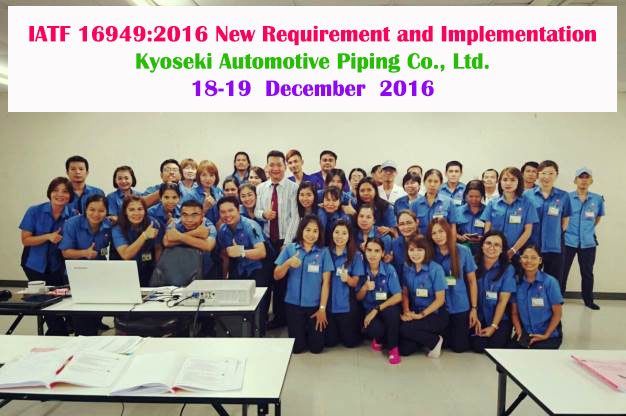 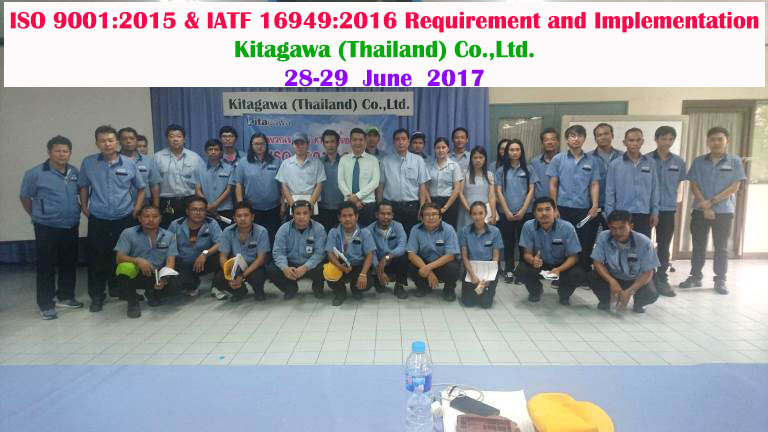 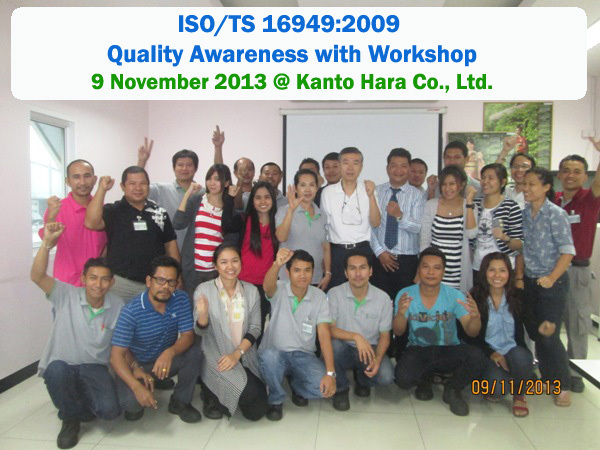 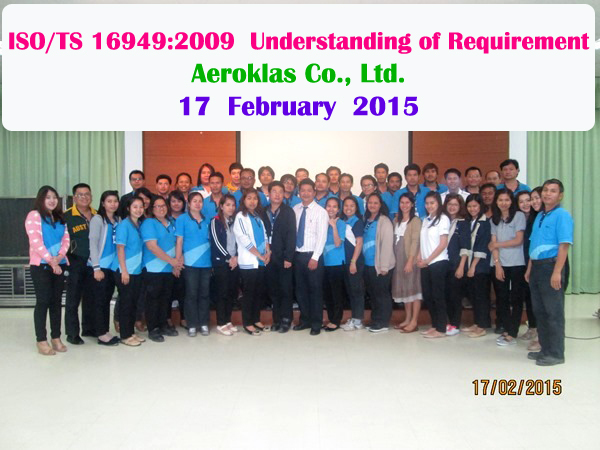 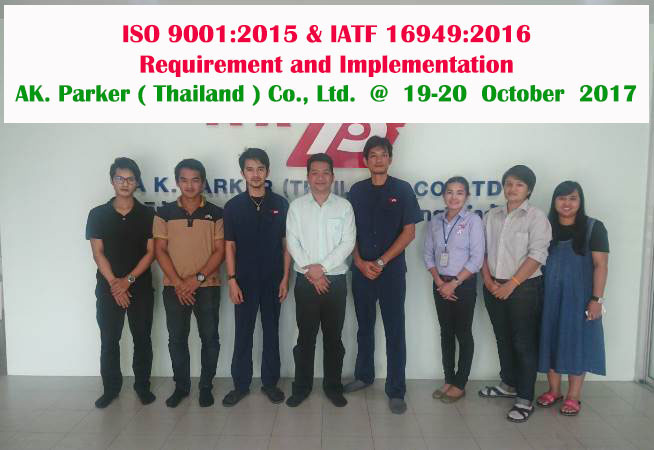 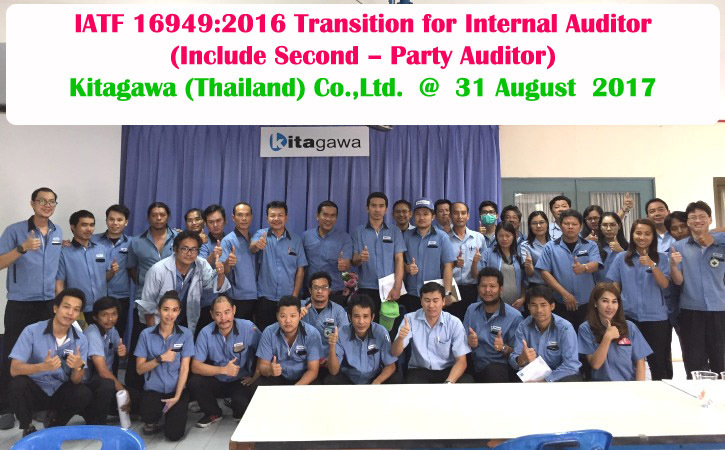 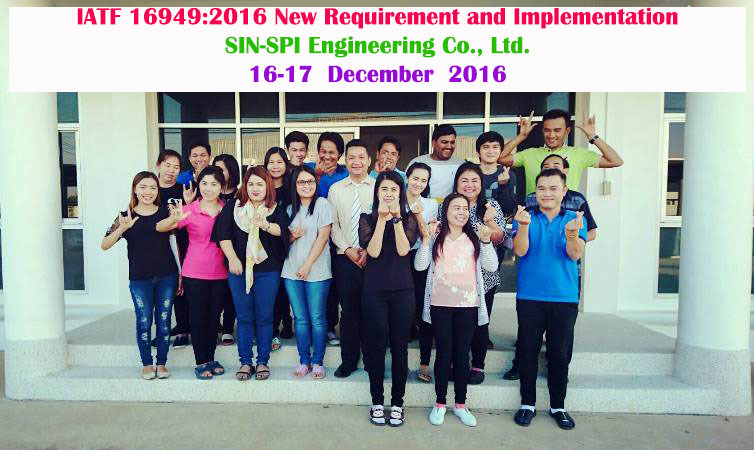 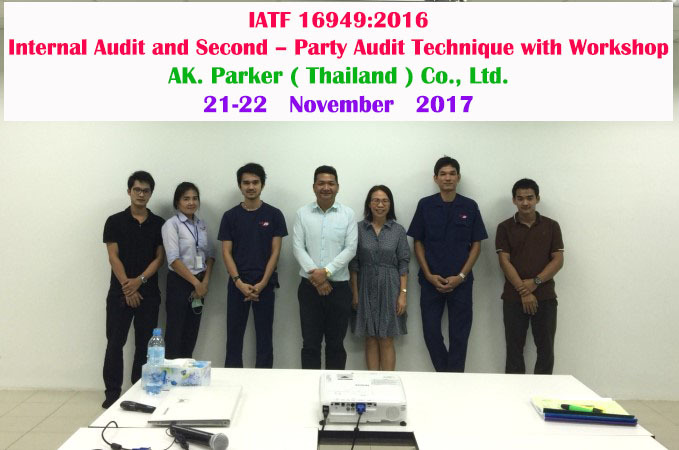 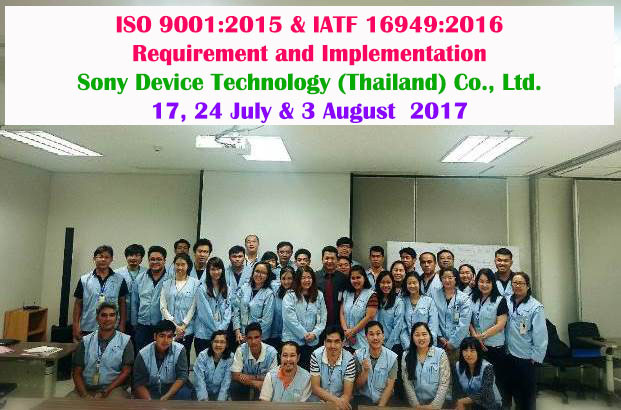 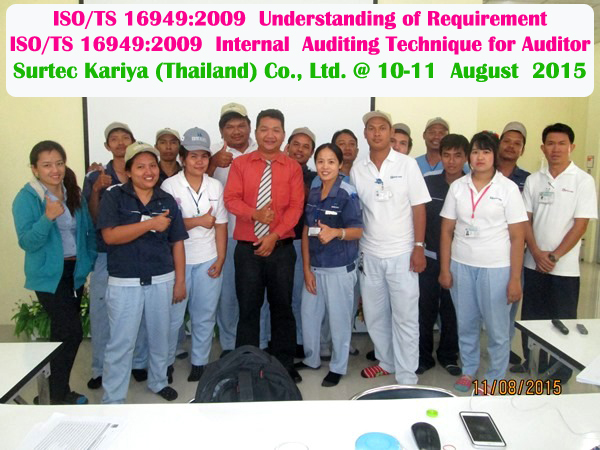 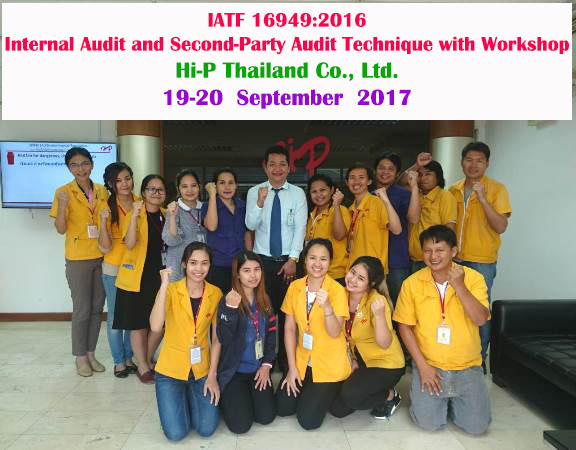 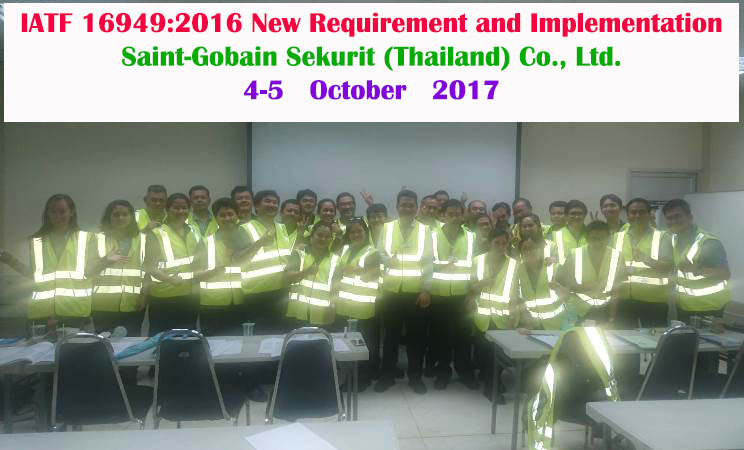 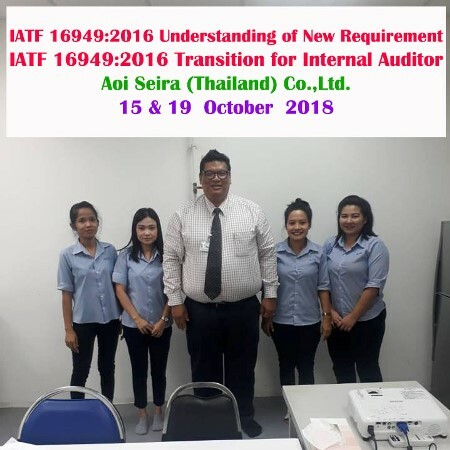 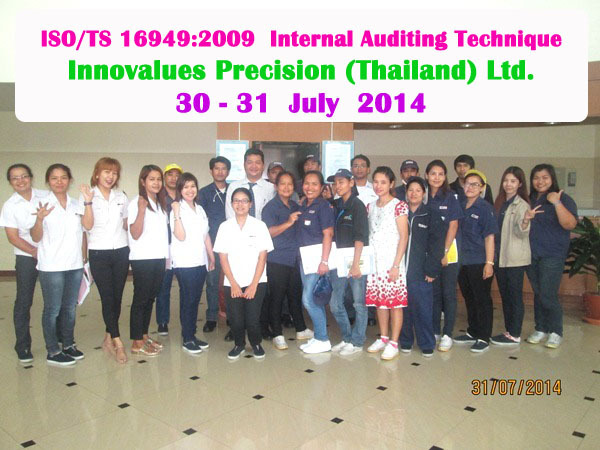 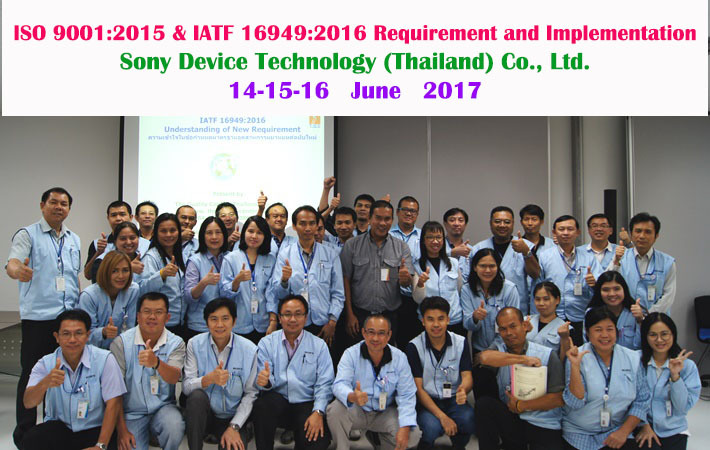 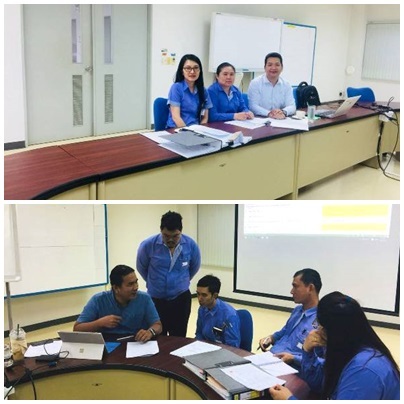 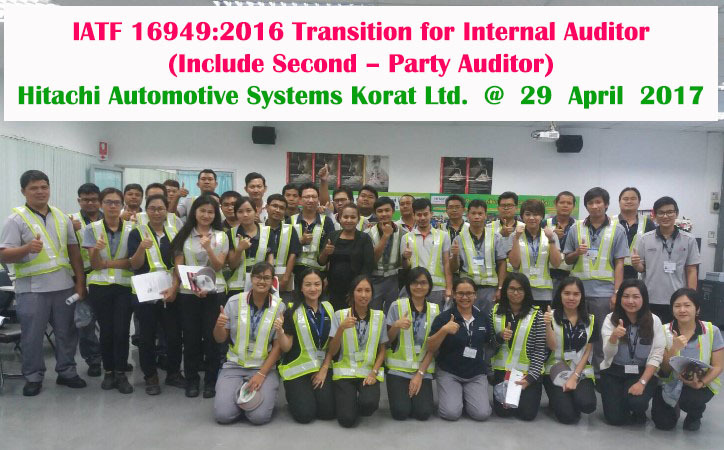 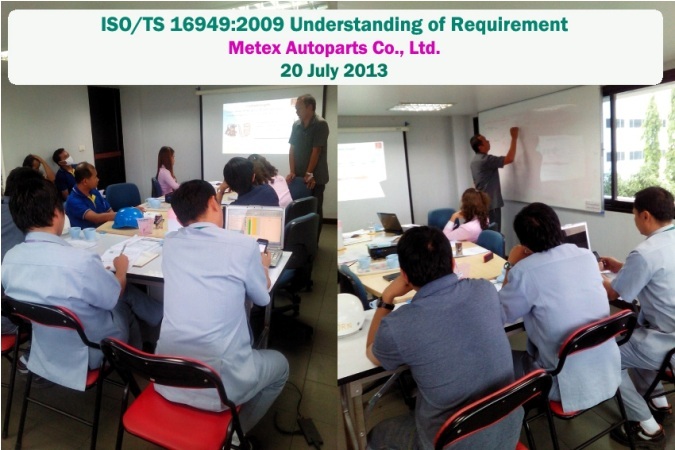 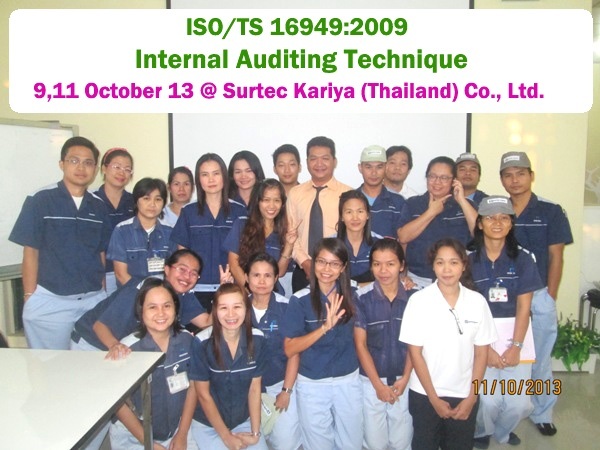 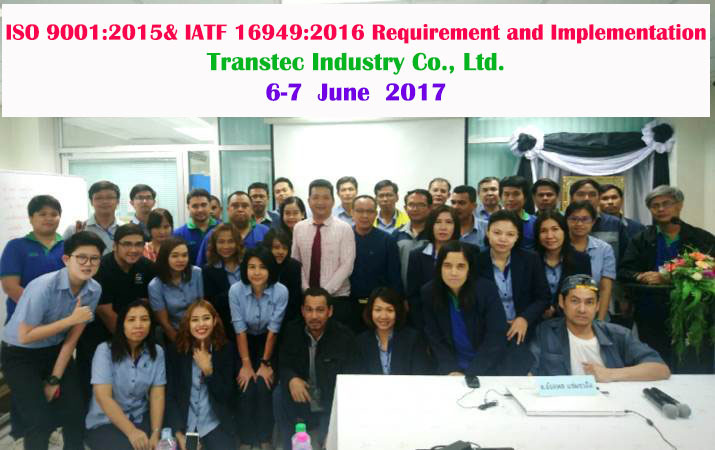 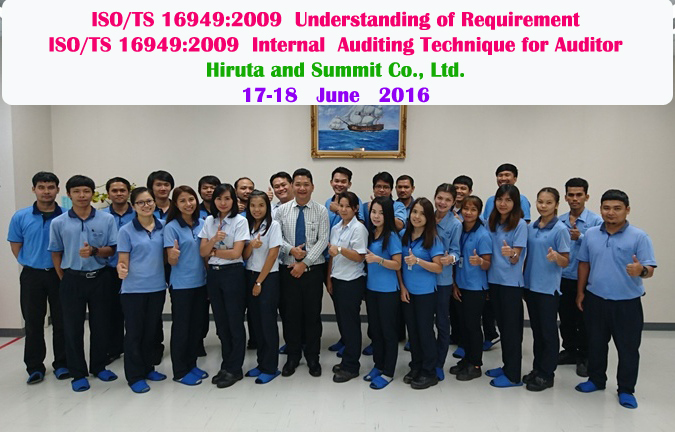 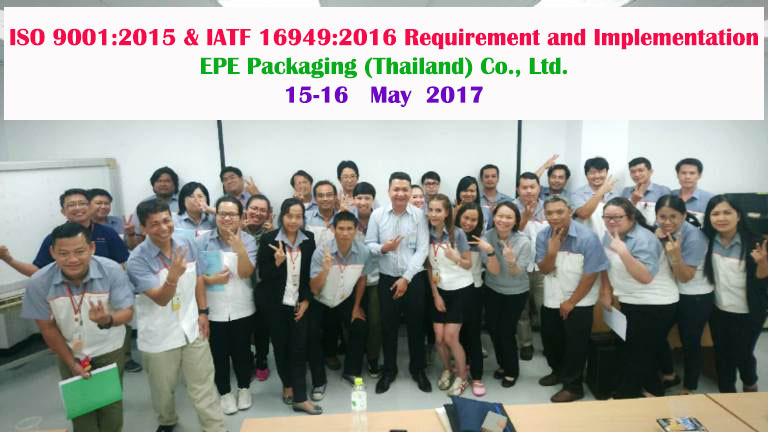 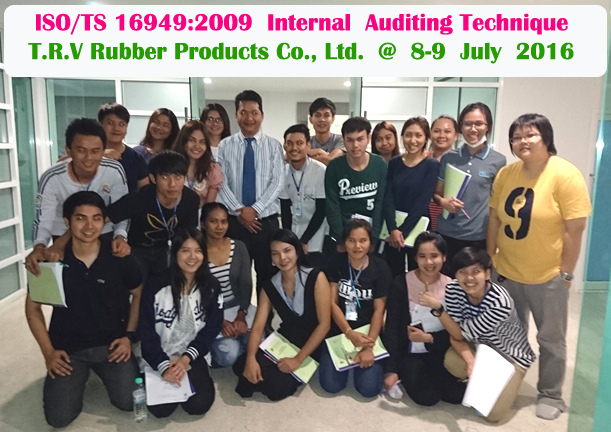 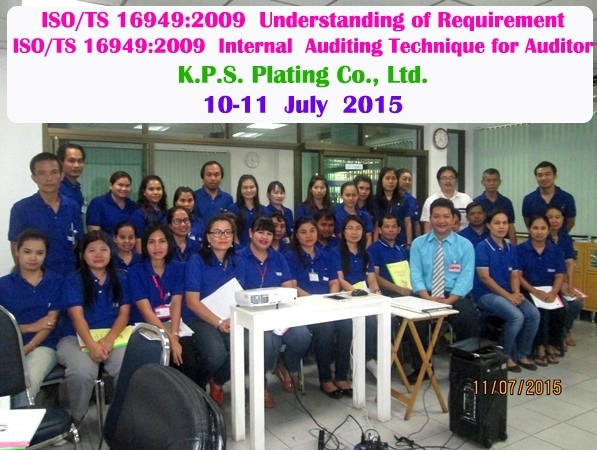 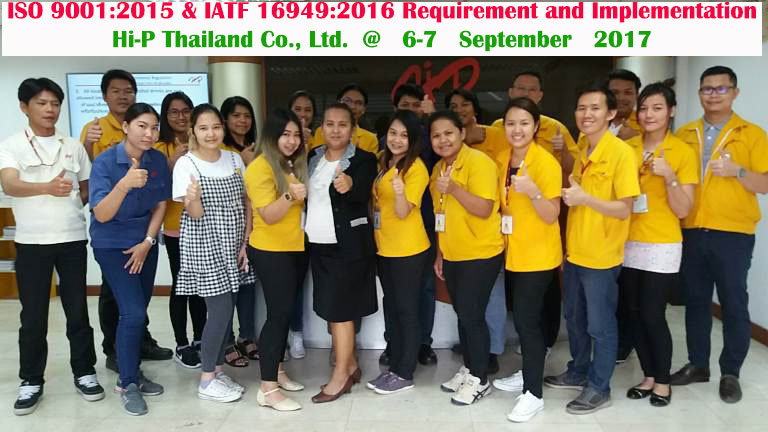 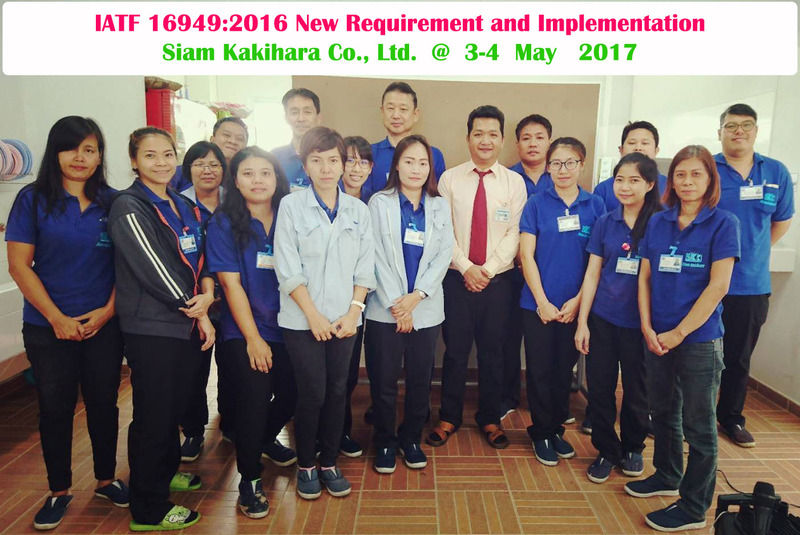 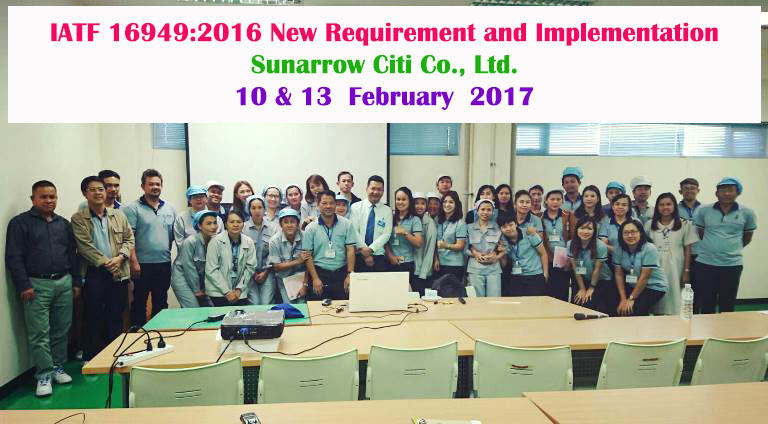 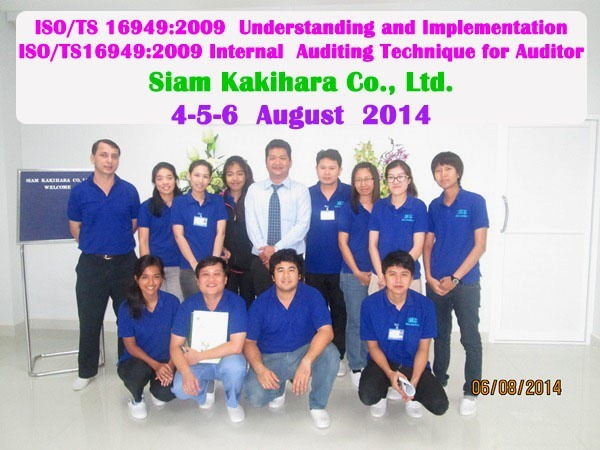 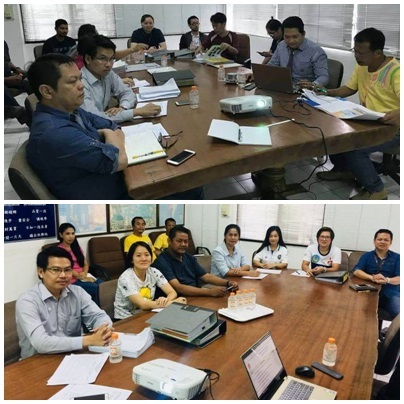 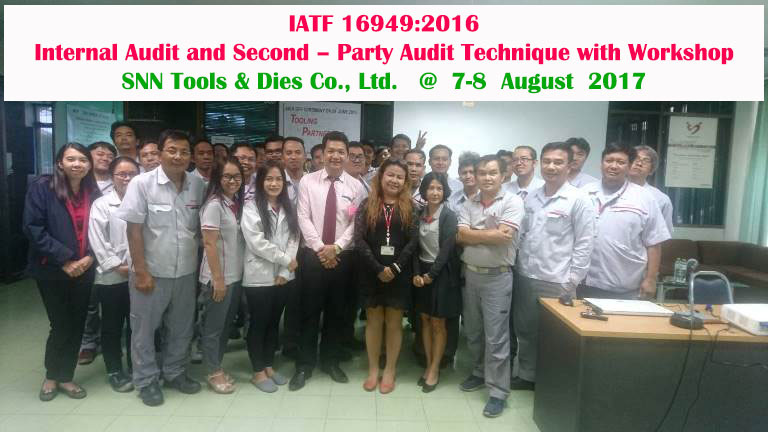 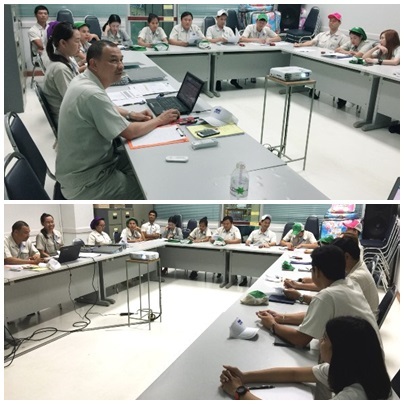 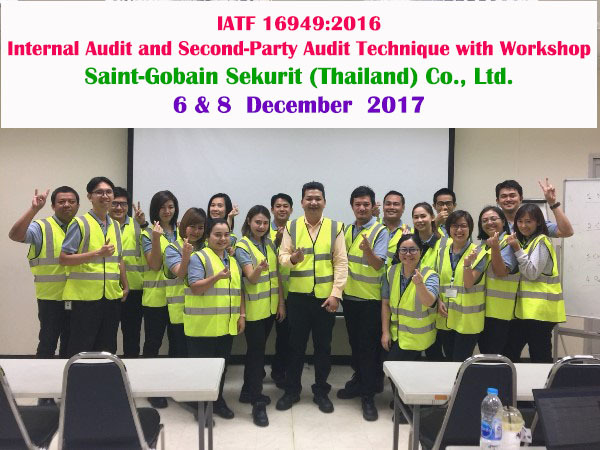 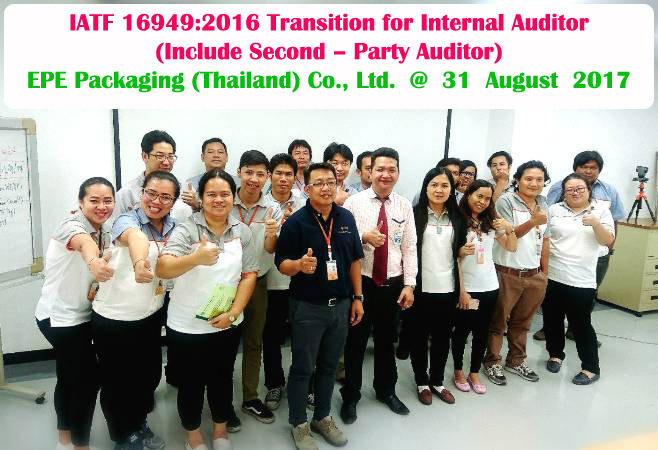 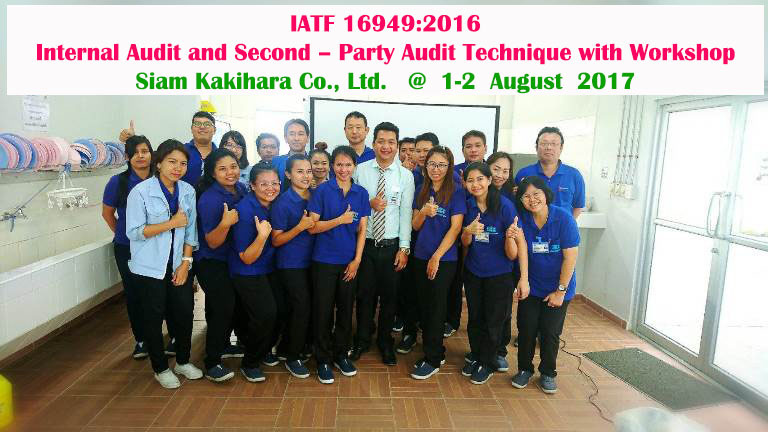 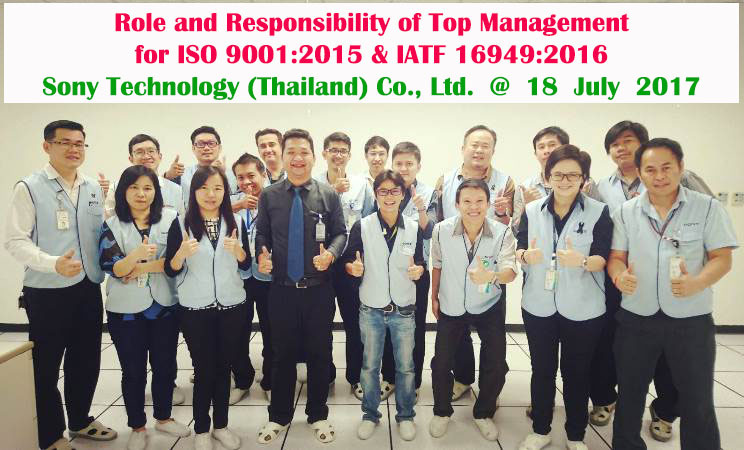 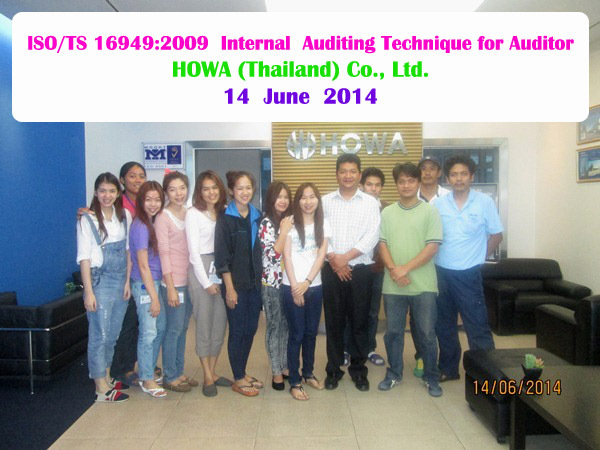 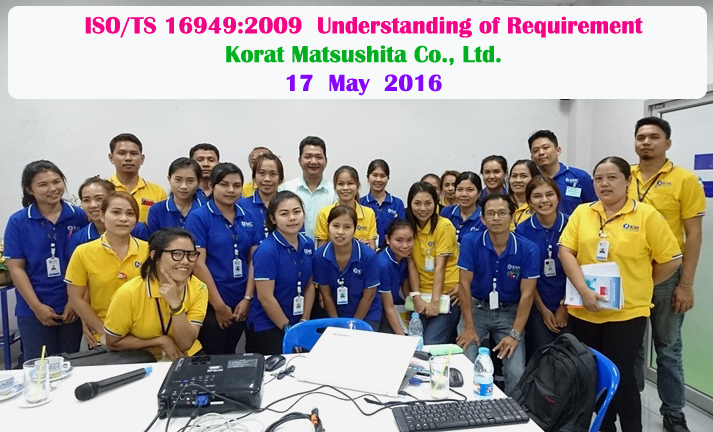 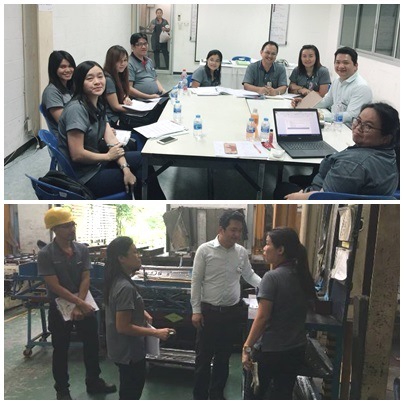 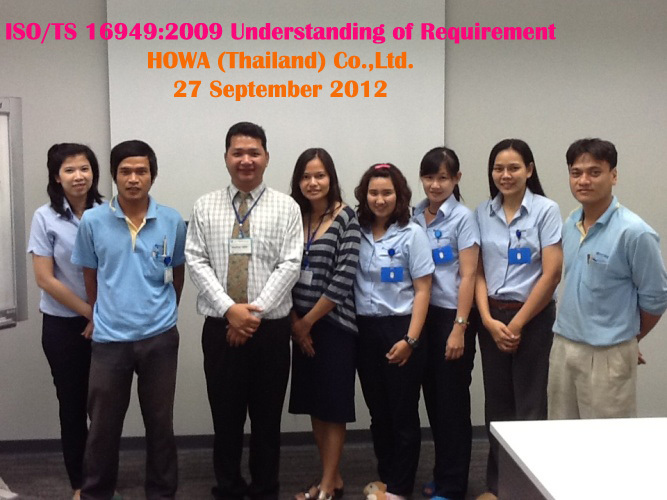 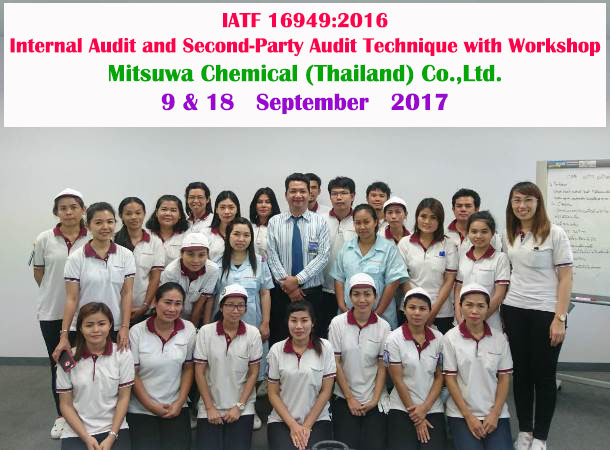 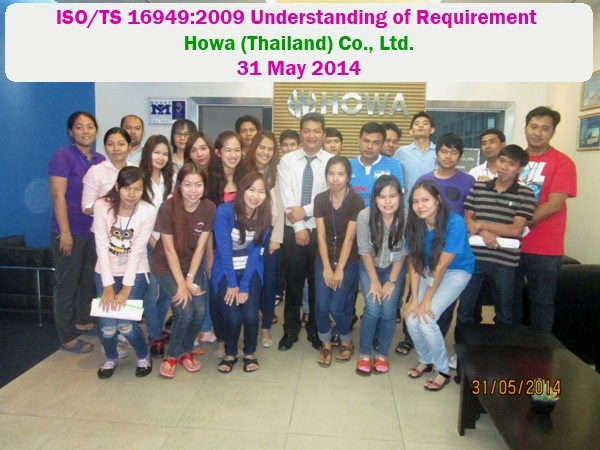 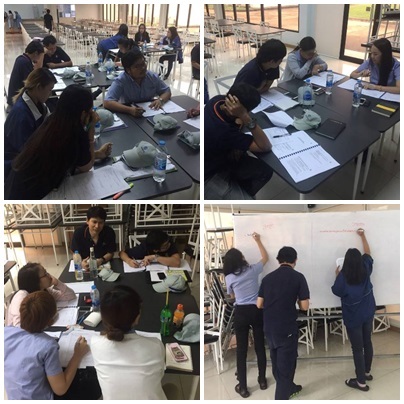 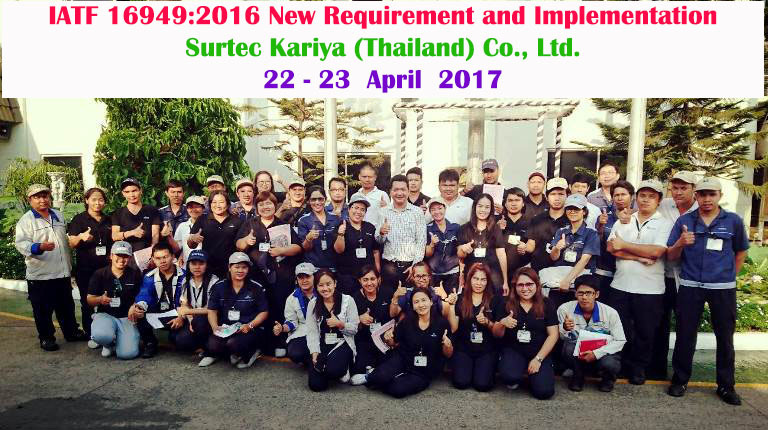 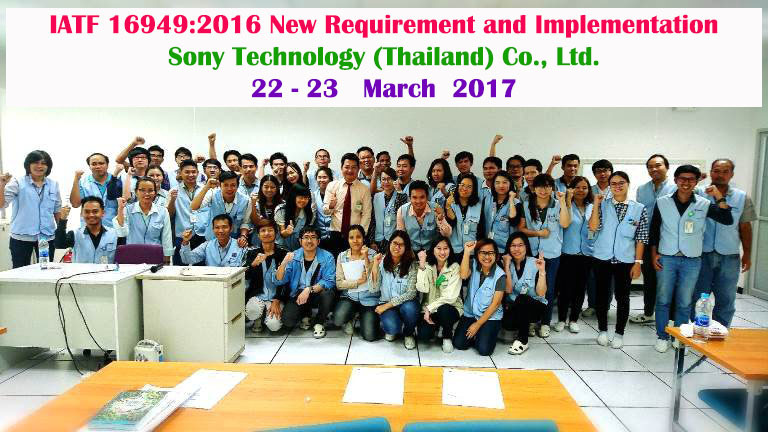 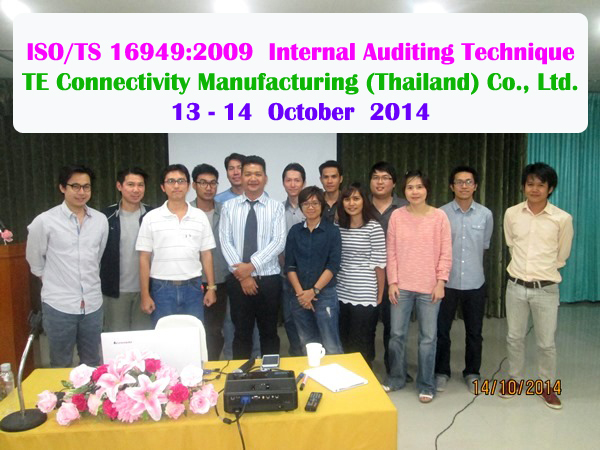 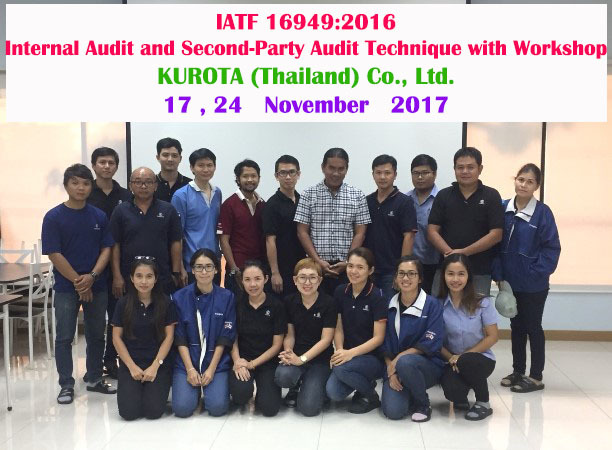 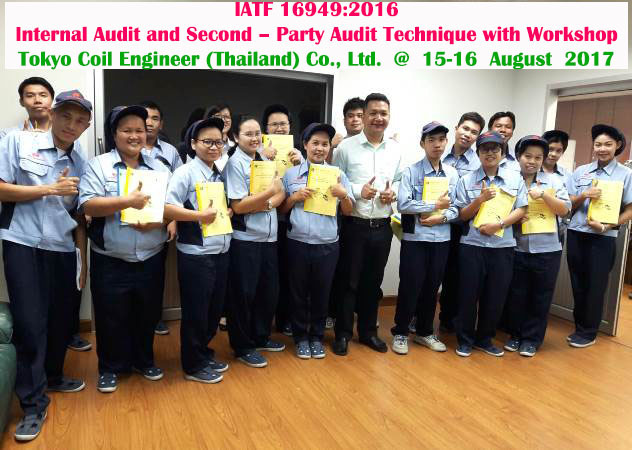 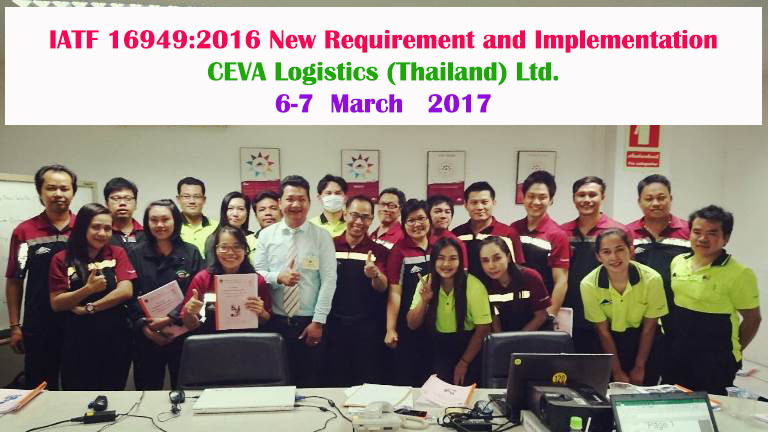 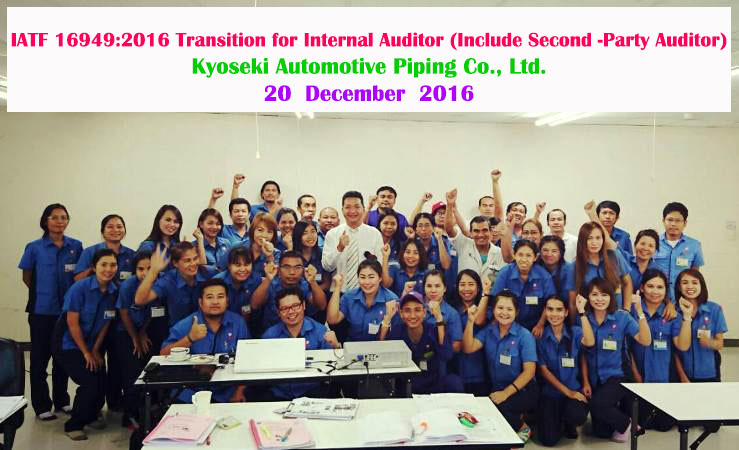 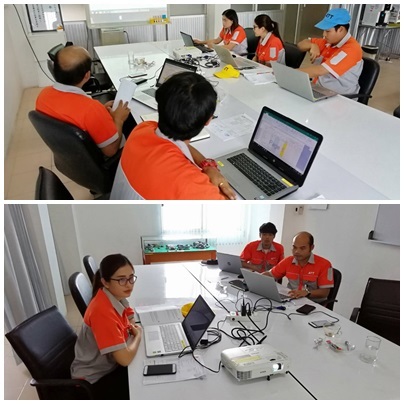 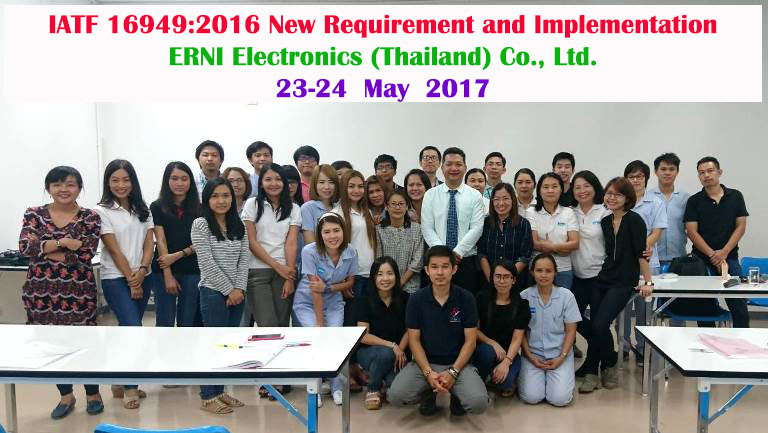 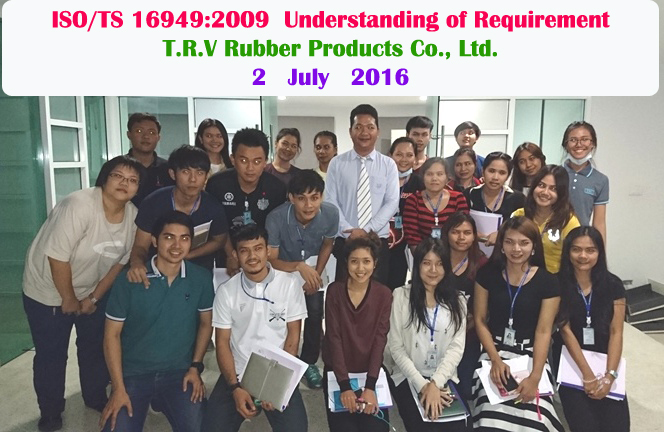 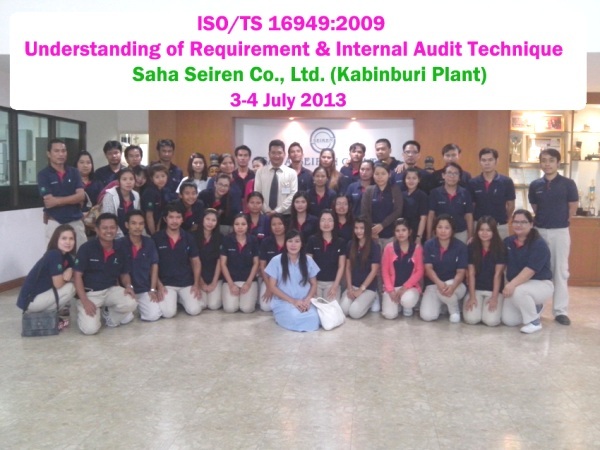 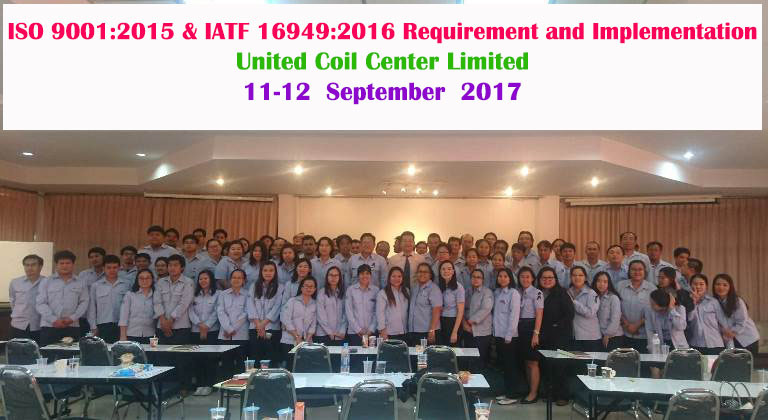 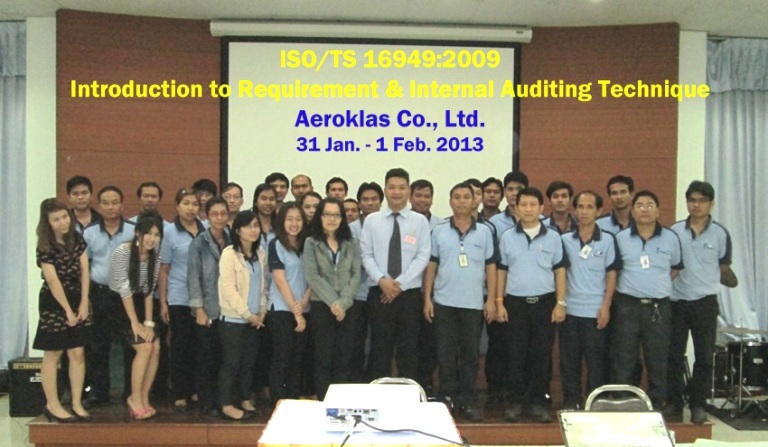 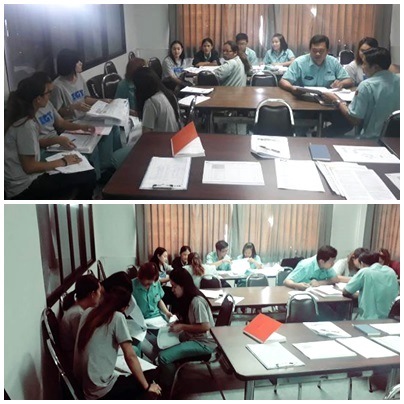 8-9 August 2017 @ KUROTA (Thailand) Co., LTd.
Hiruta and Summit Co., Ltd.
Ceva Logistics (Thailand) Co., Ltd.
G.S. 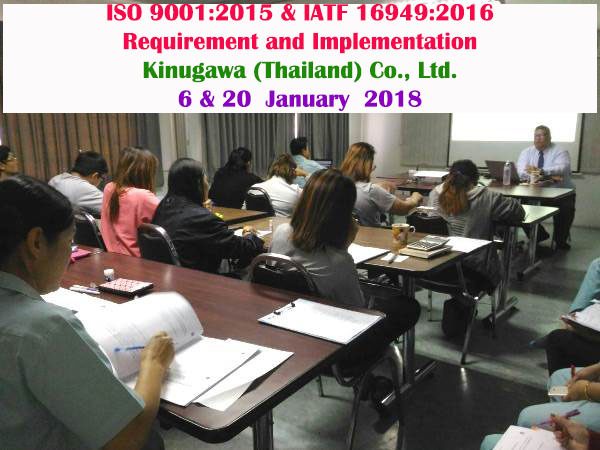 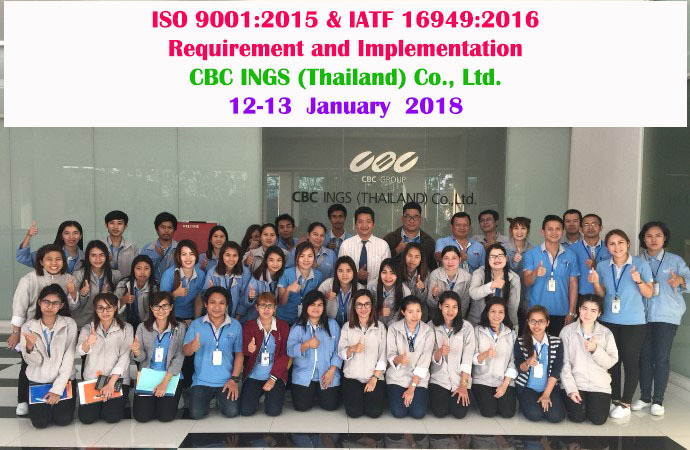 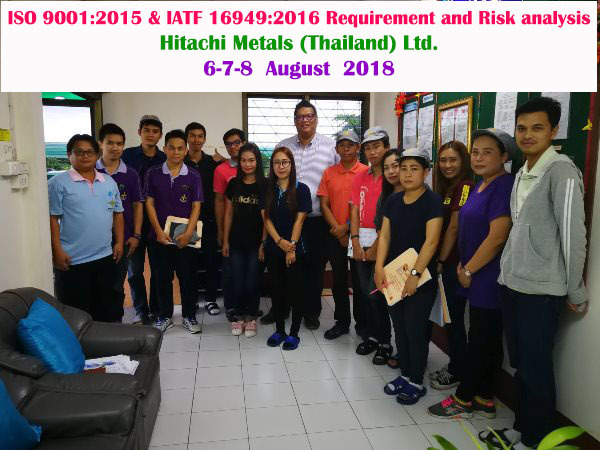 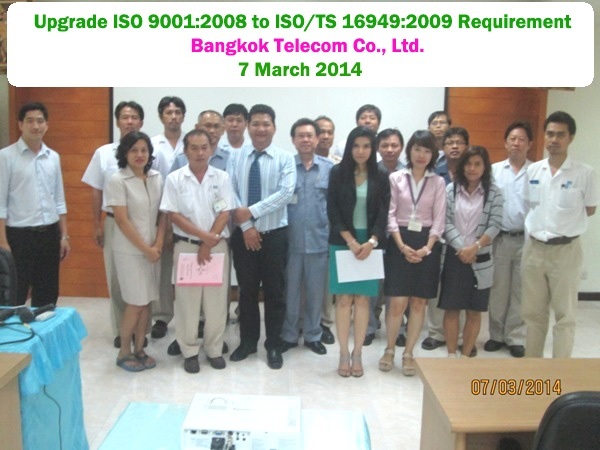 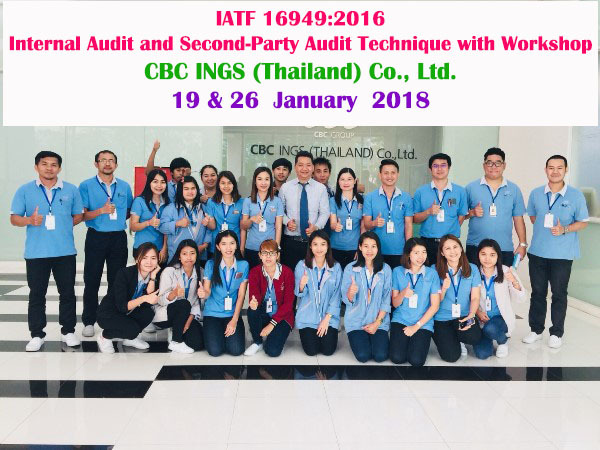 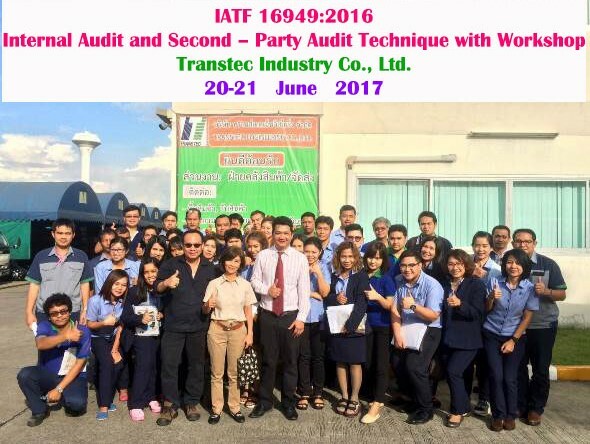 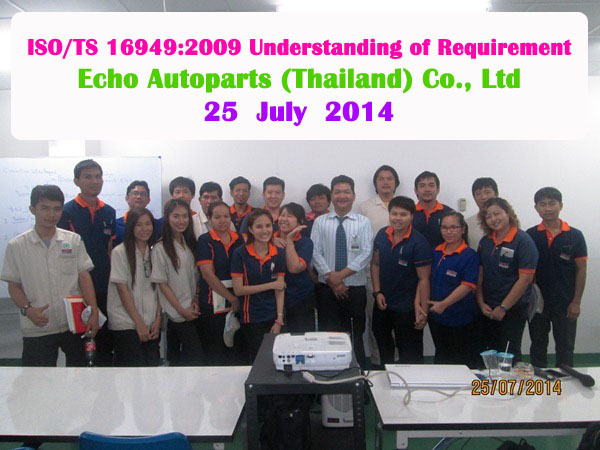 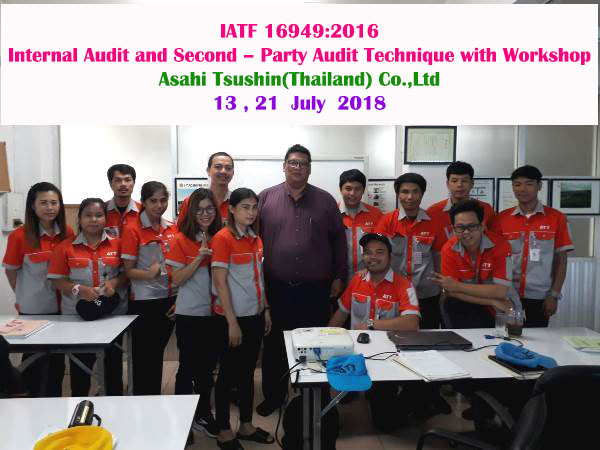 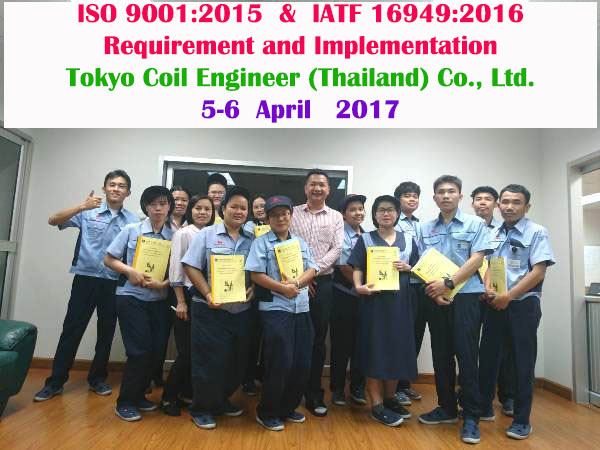 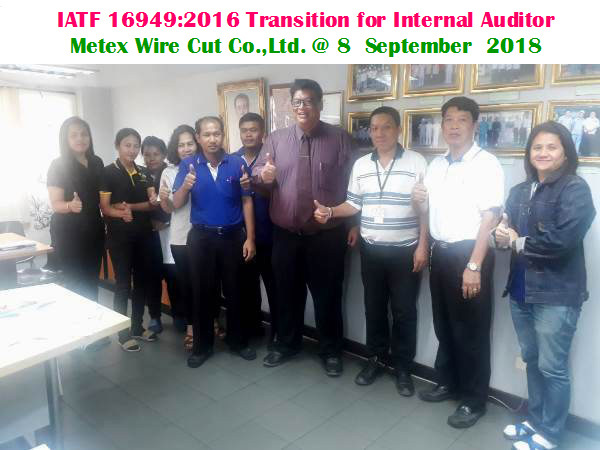 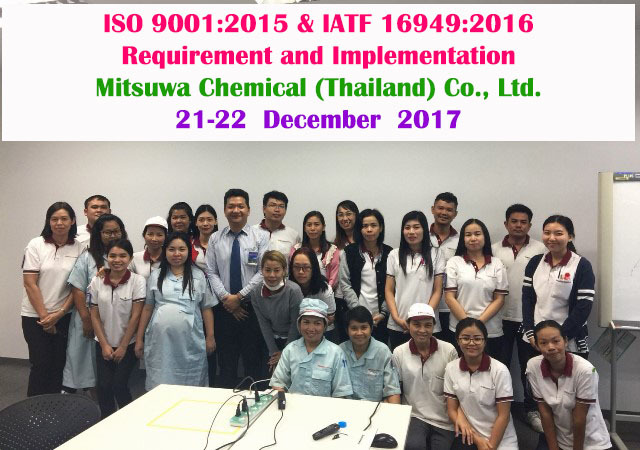 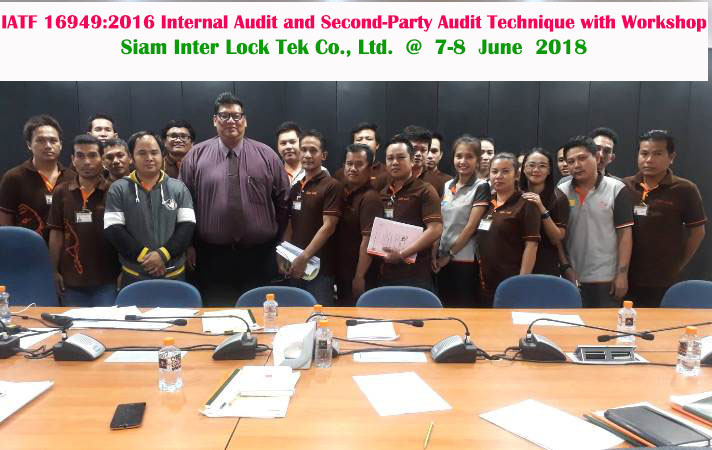 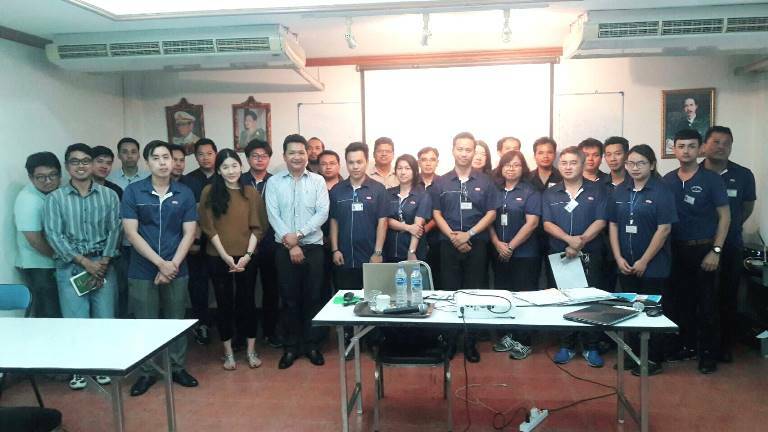 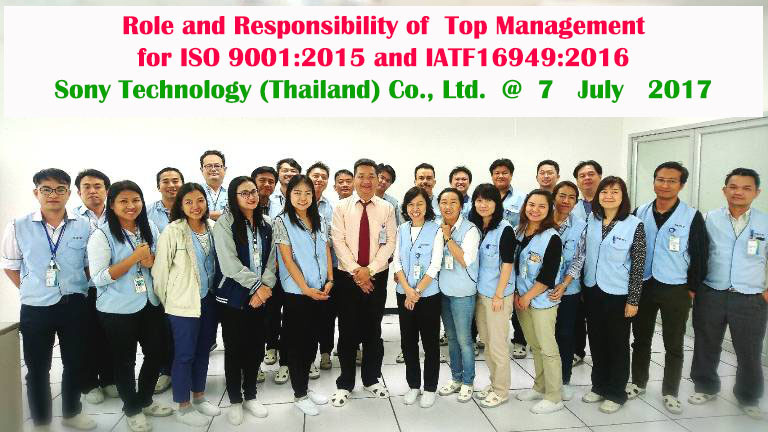 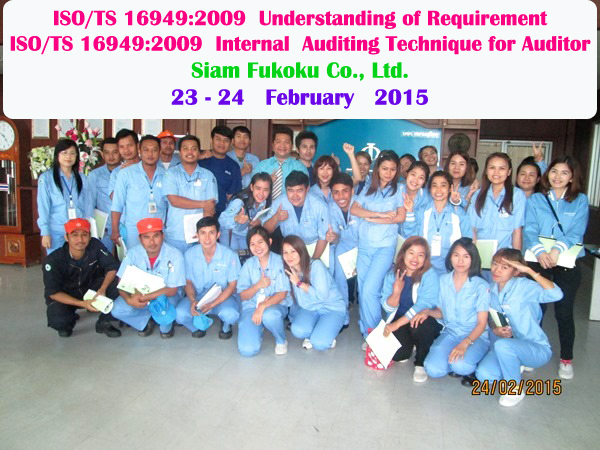 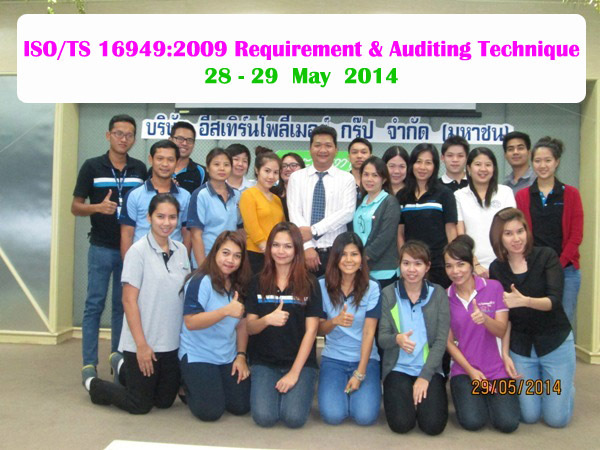 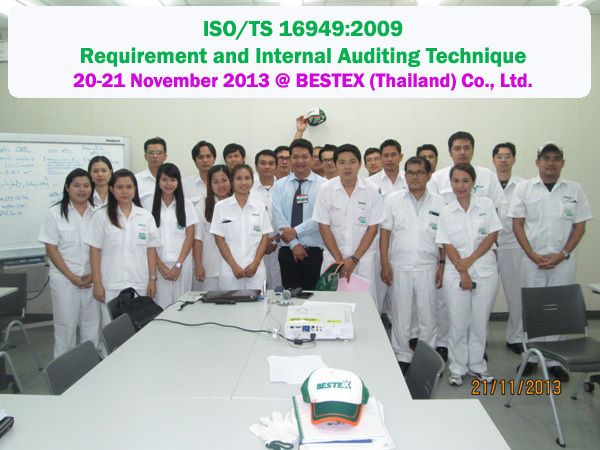 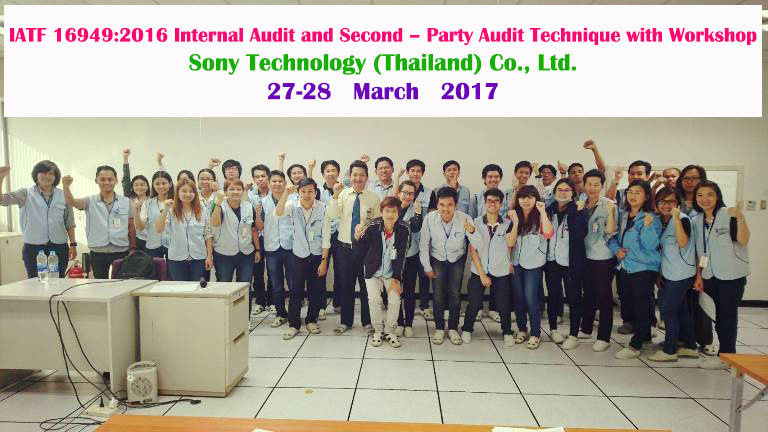 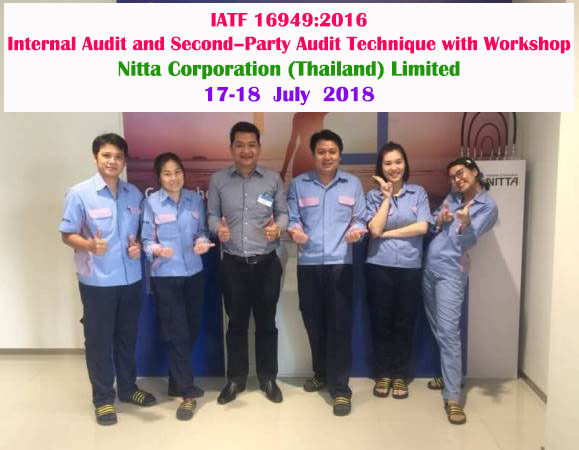 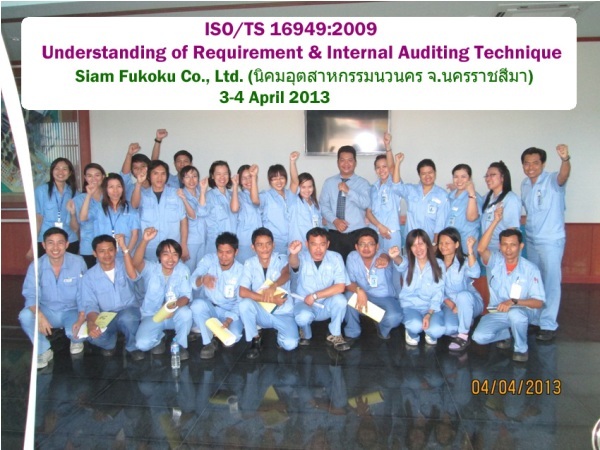 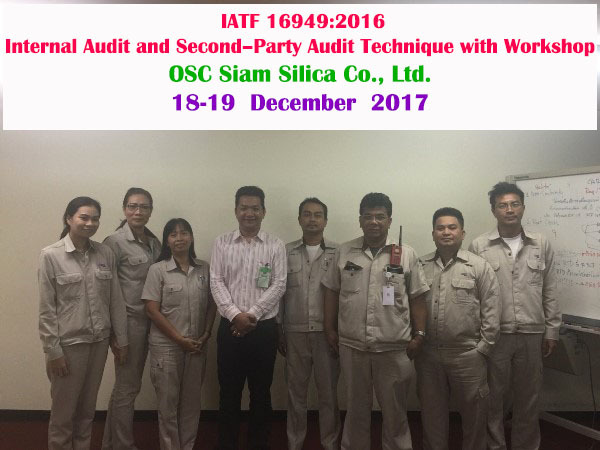 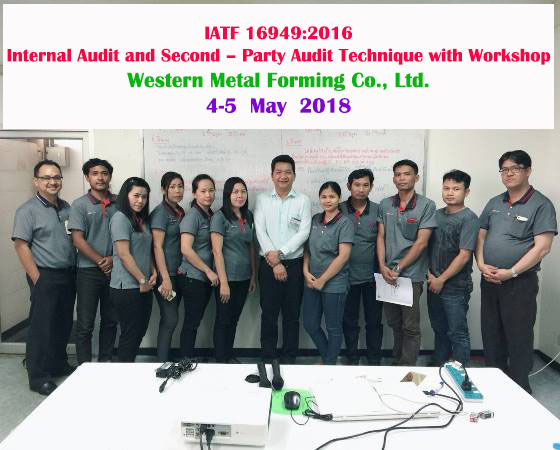 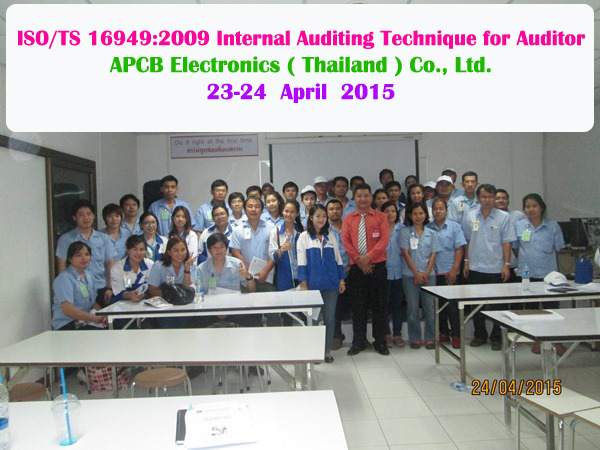 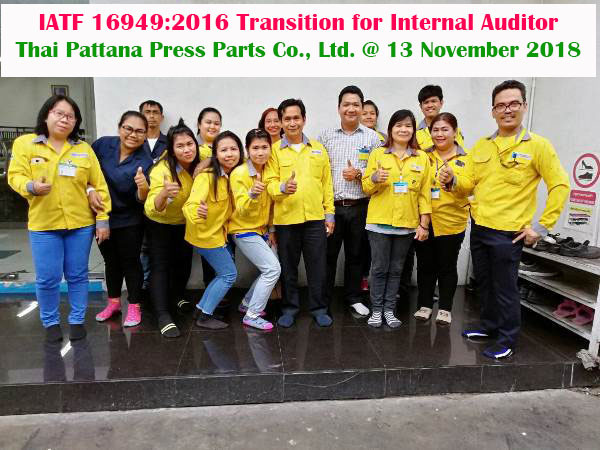 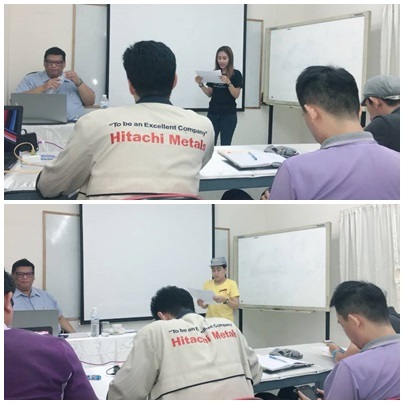 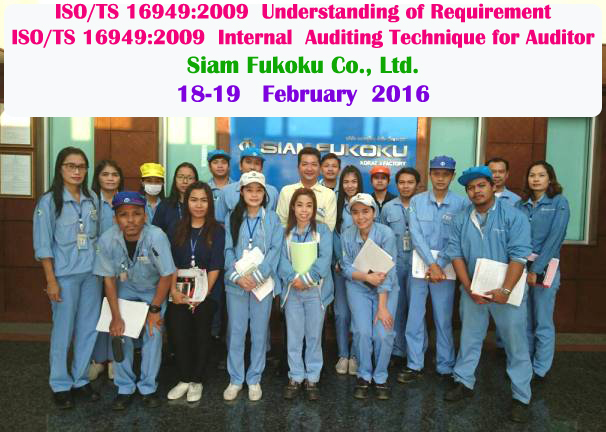 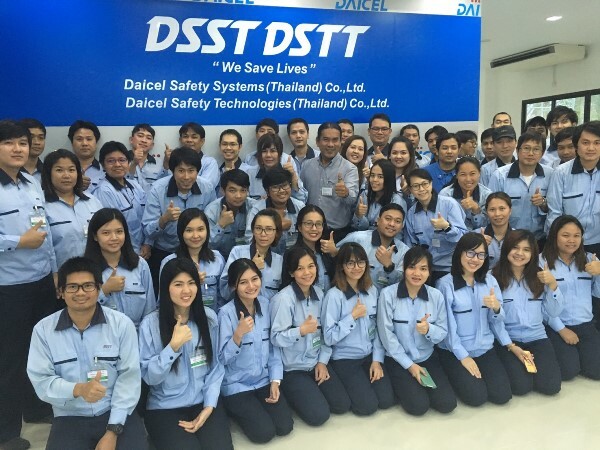 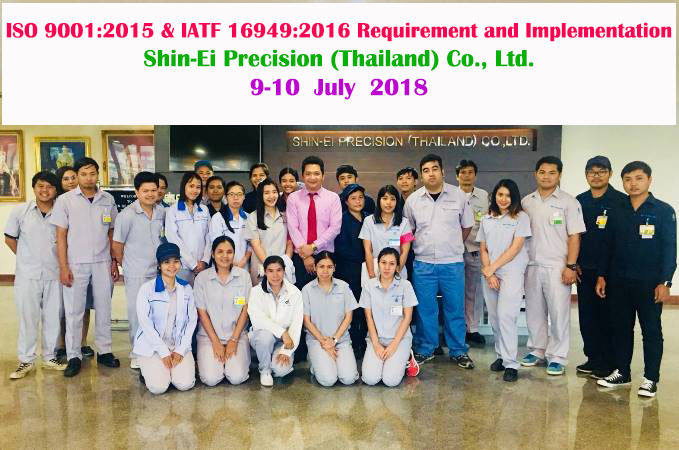 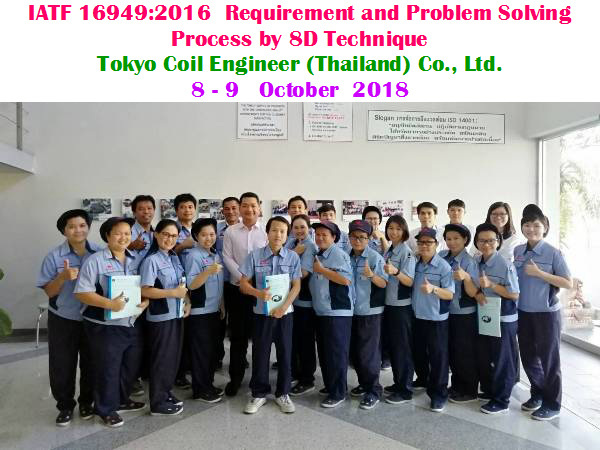 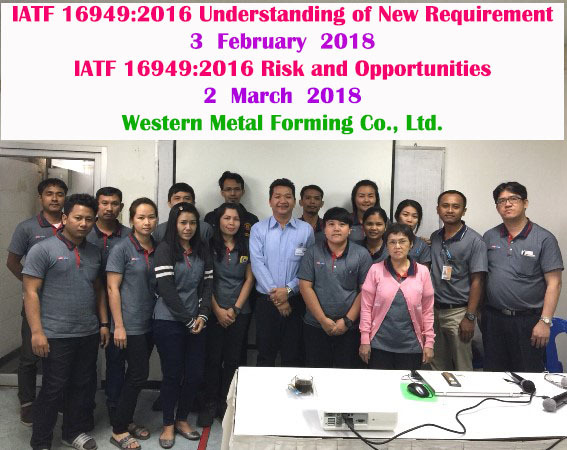 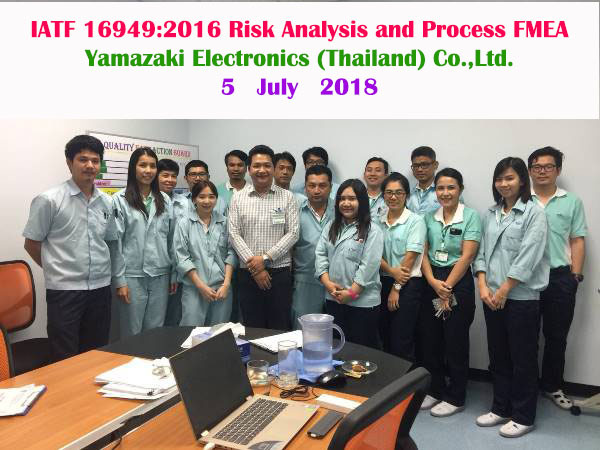 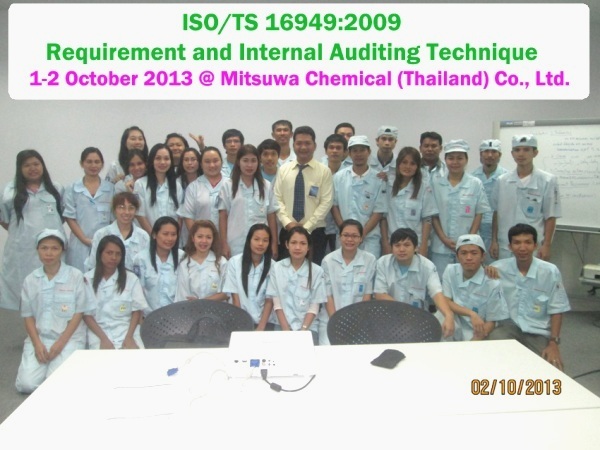 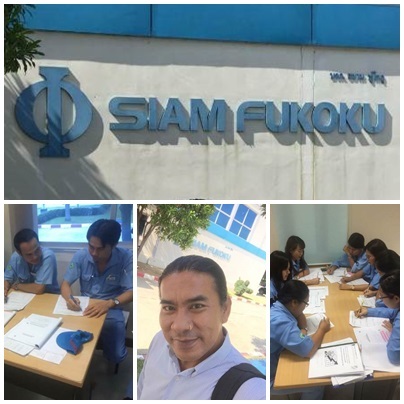 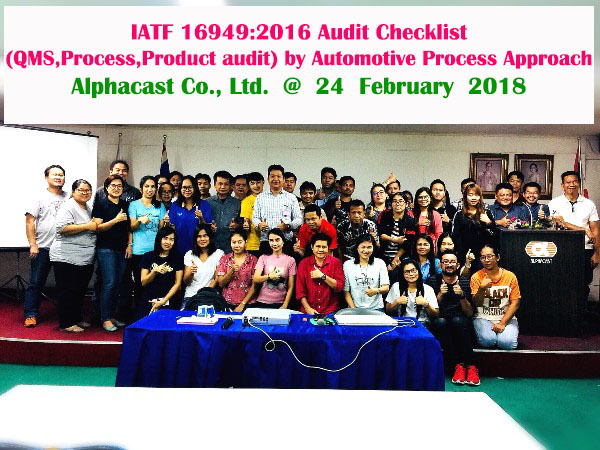 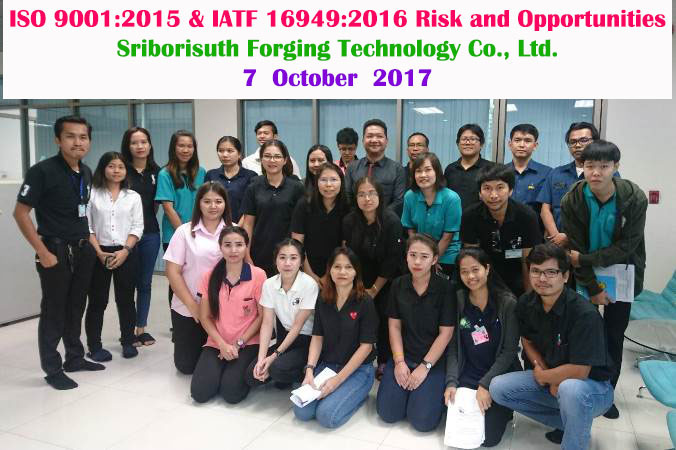 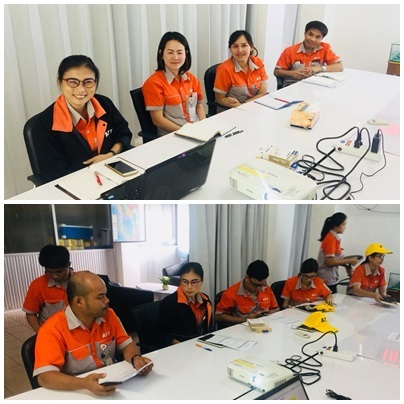 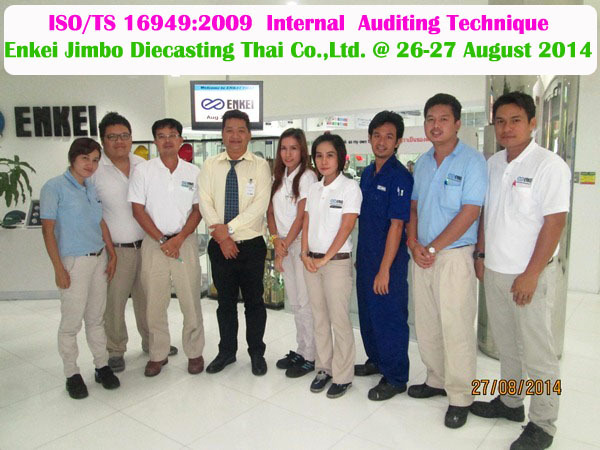 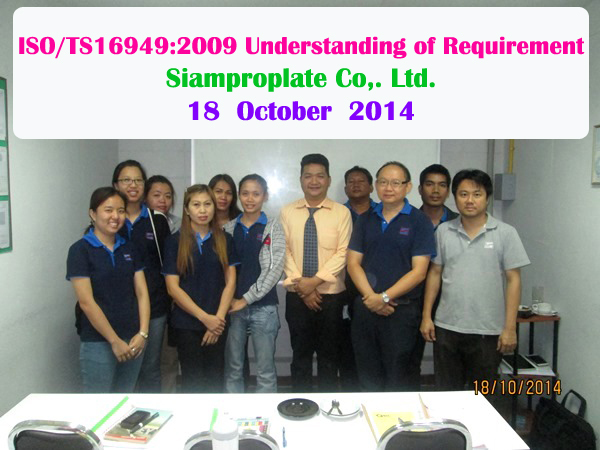 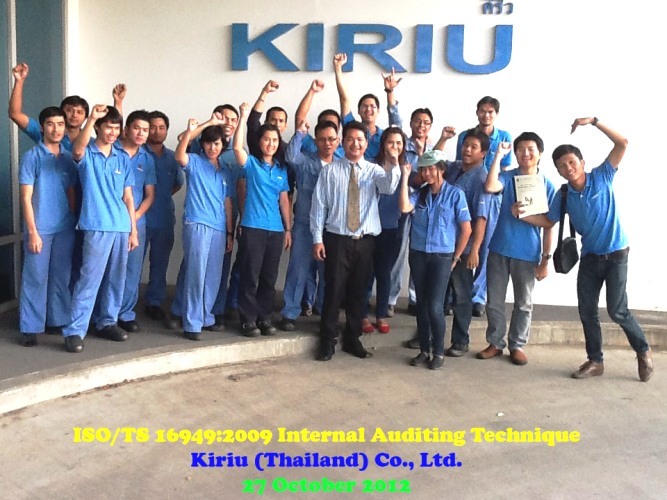 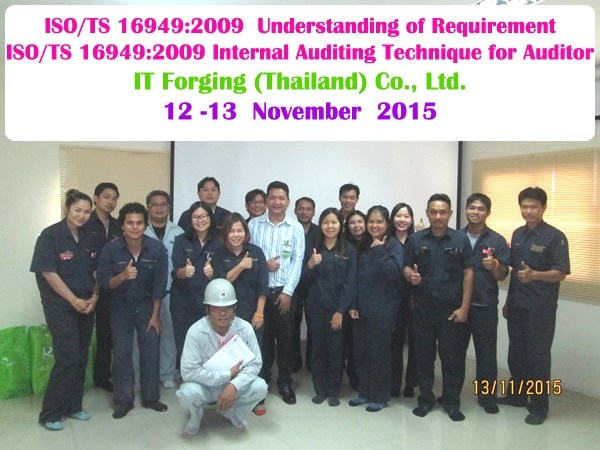 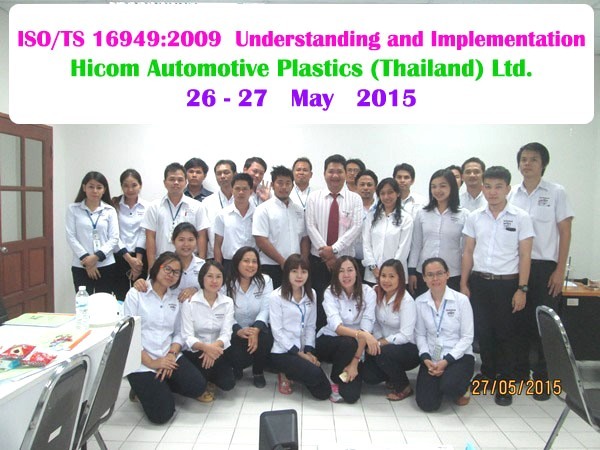 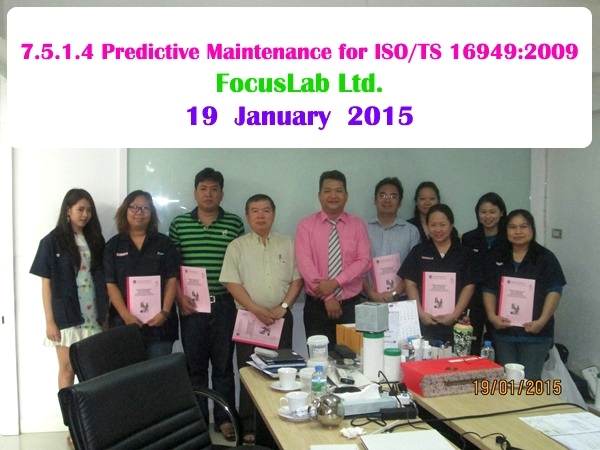 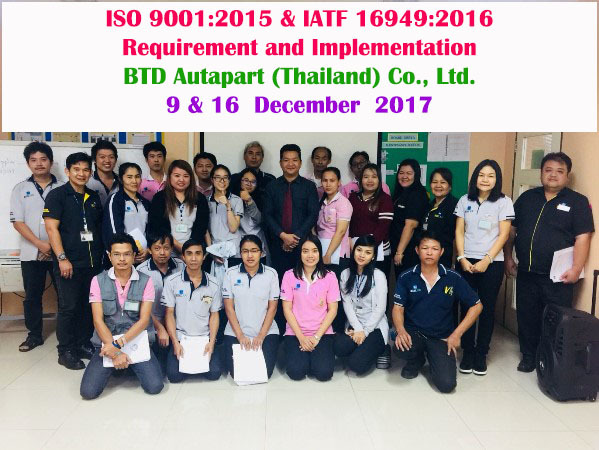 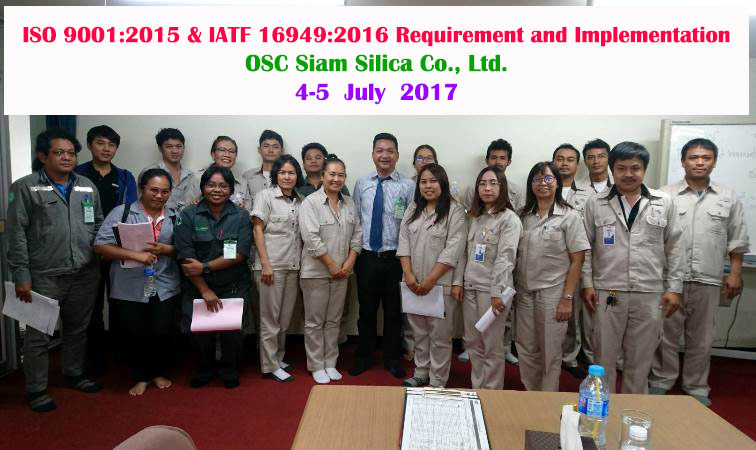 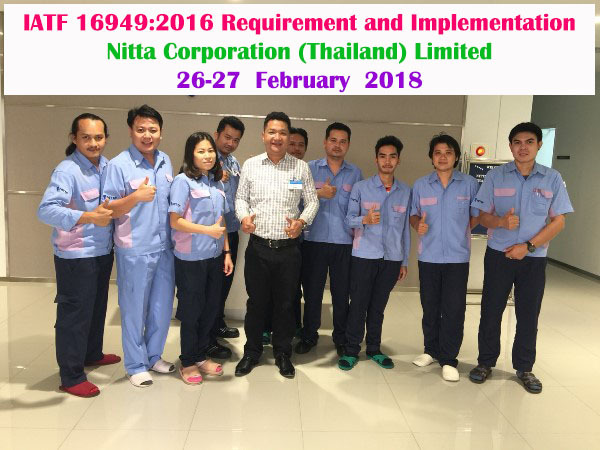 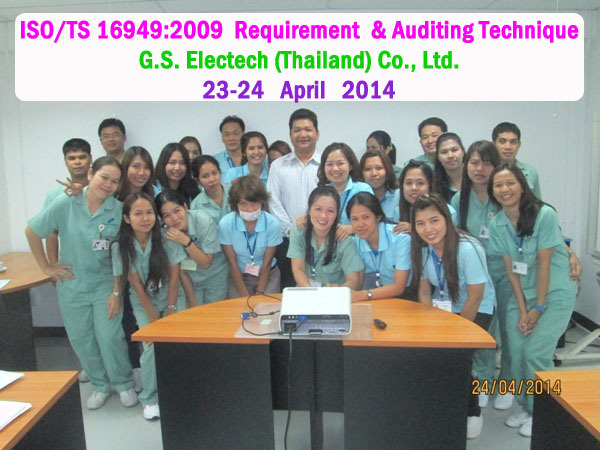 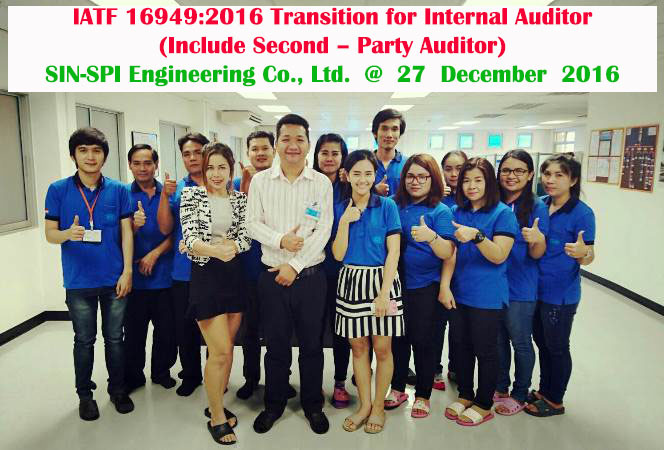 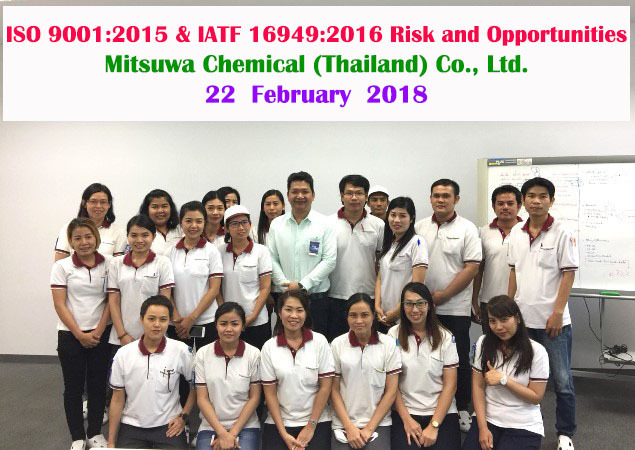 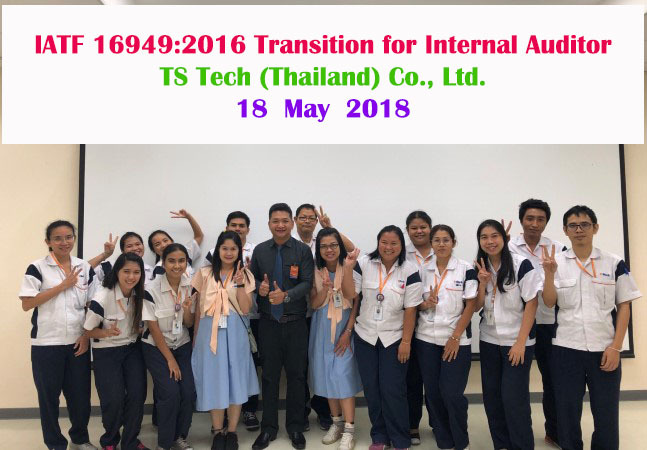 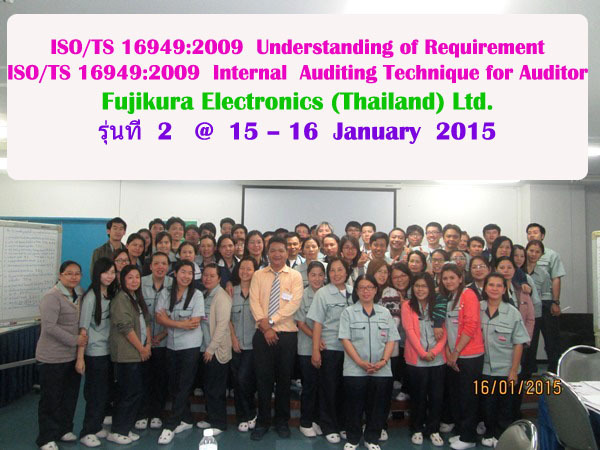 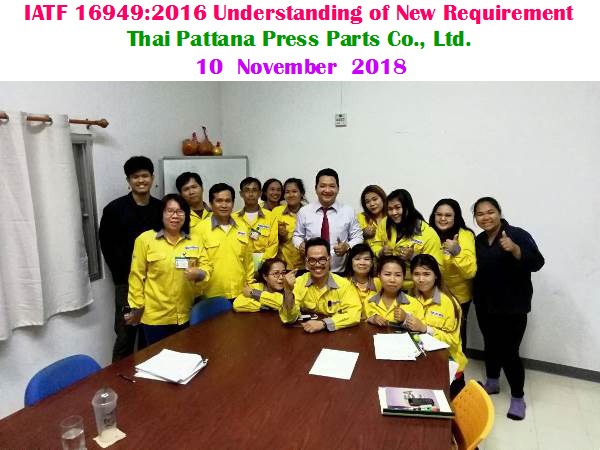 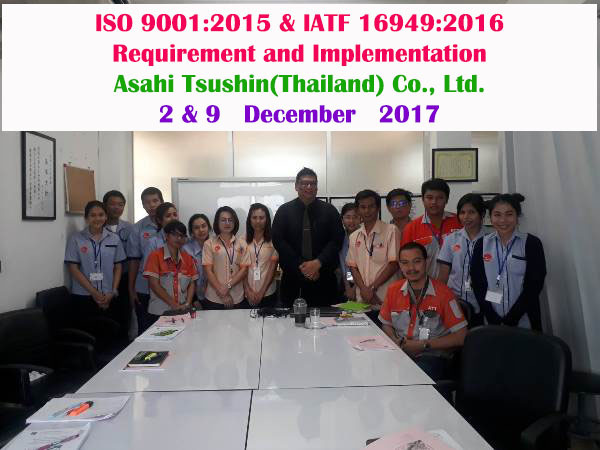 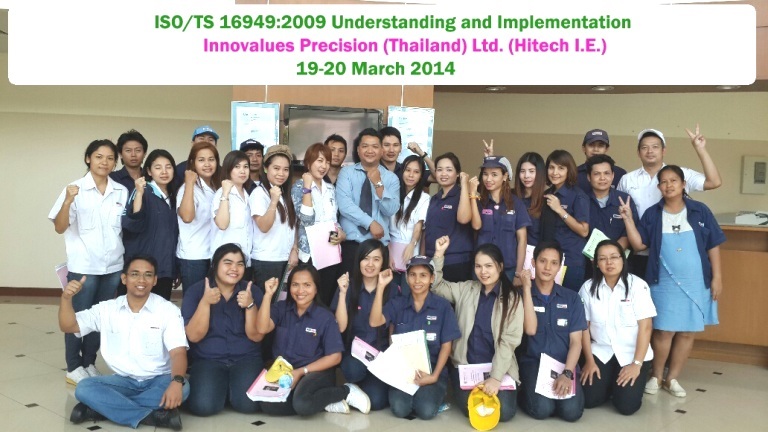 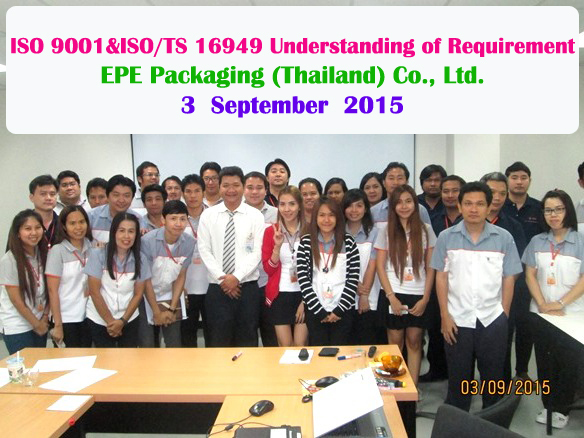 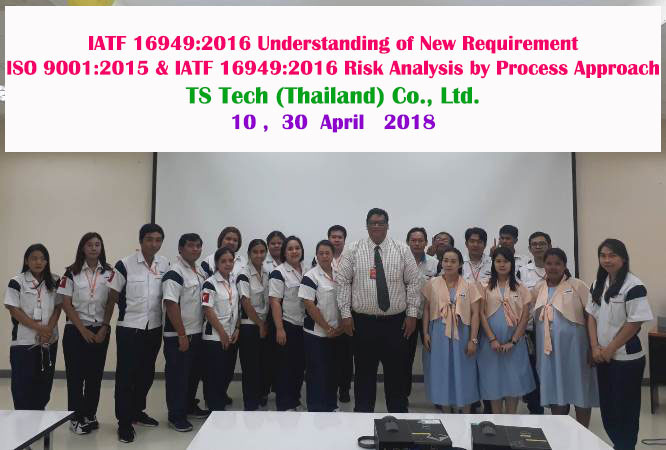 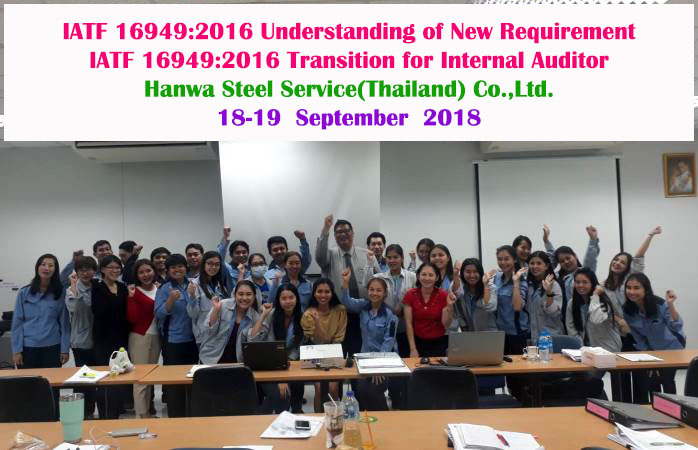 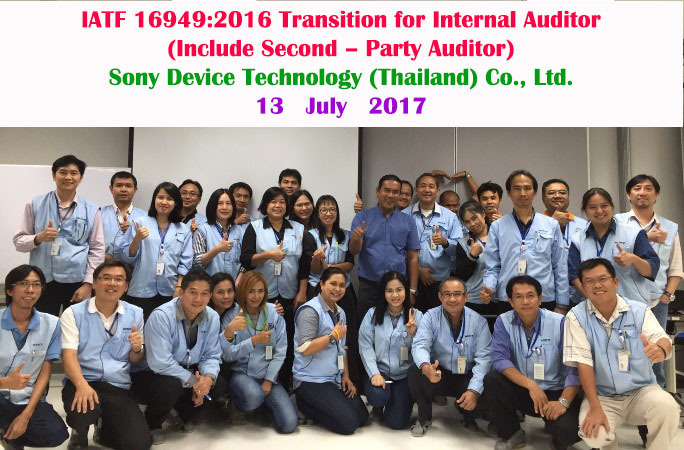 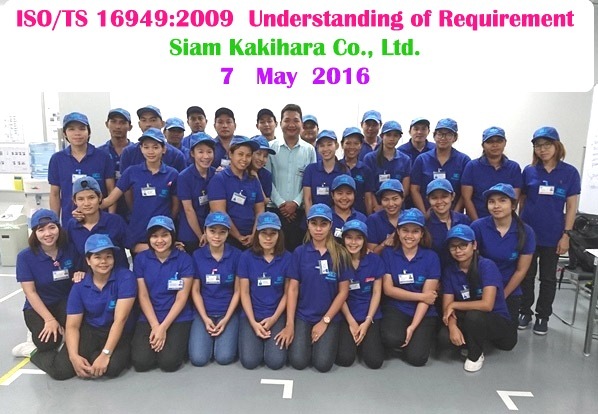 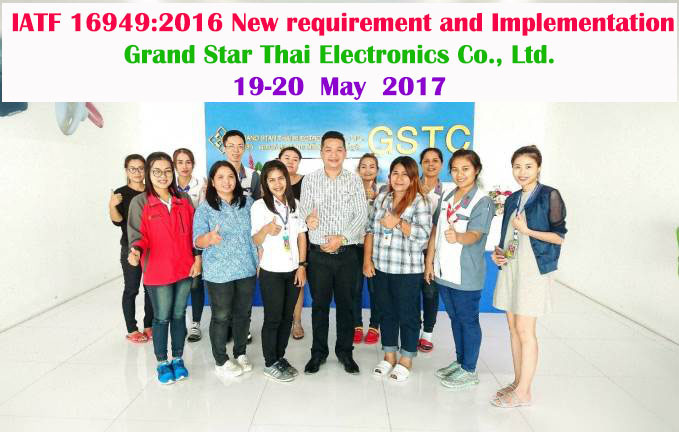 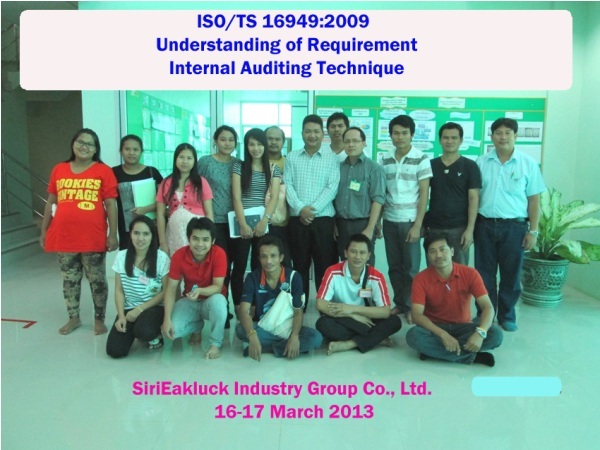 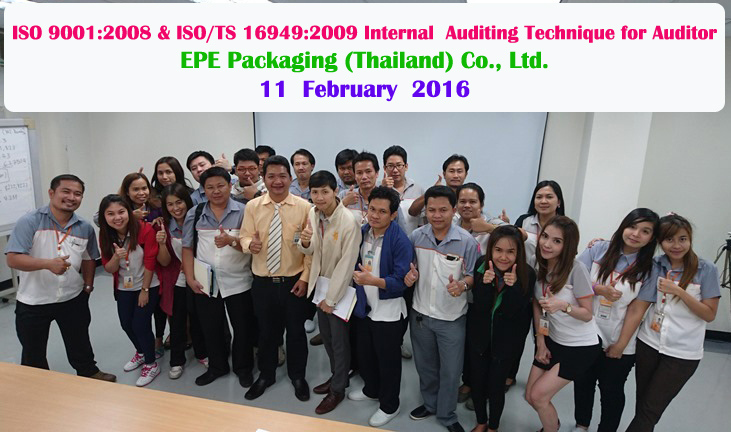 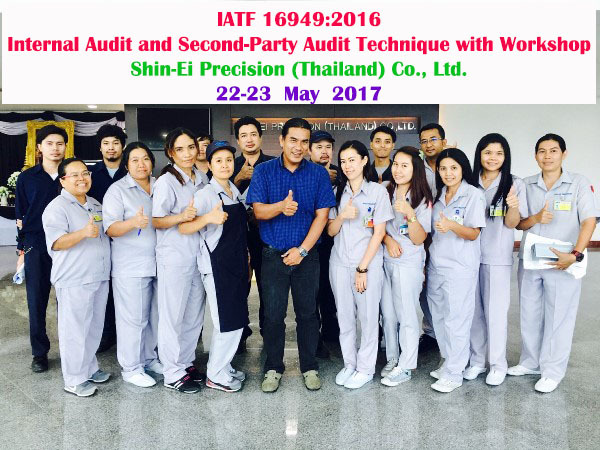 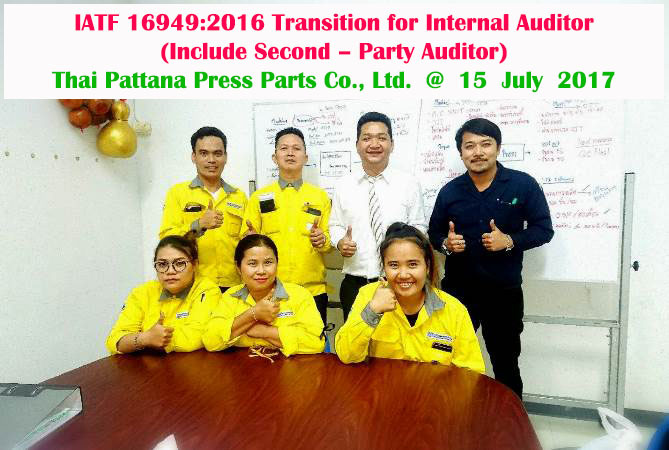 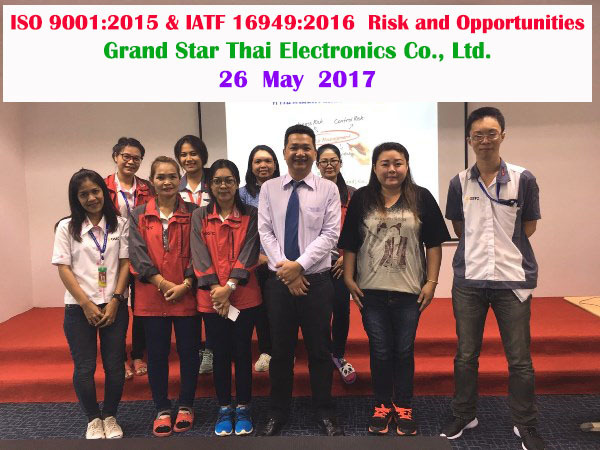 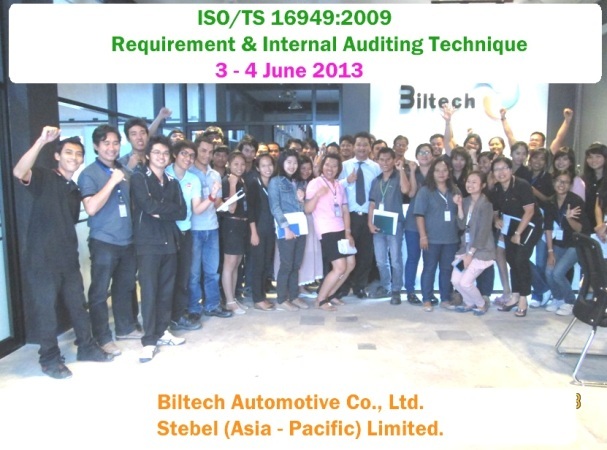 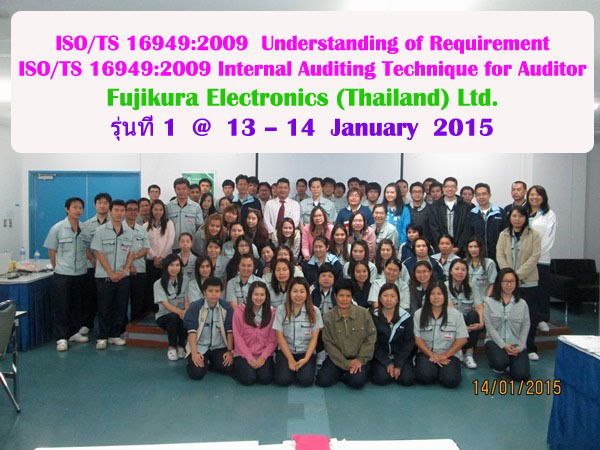 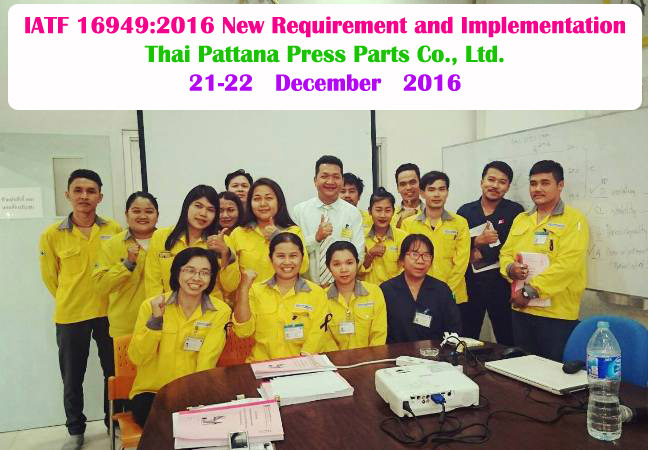 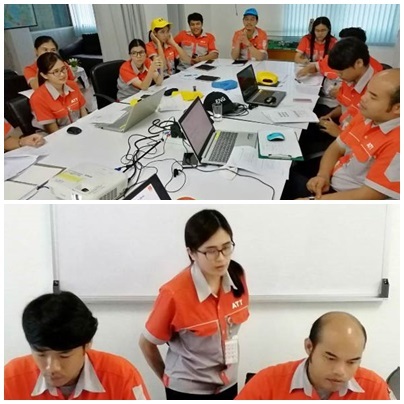 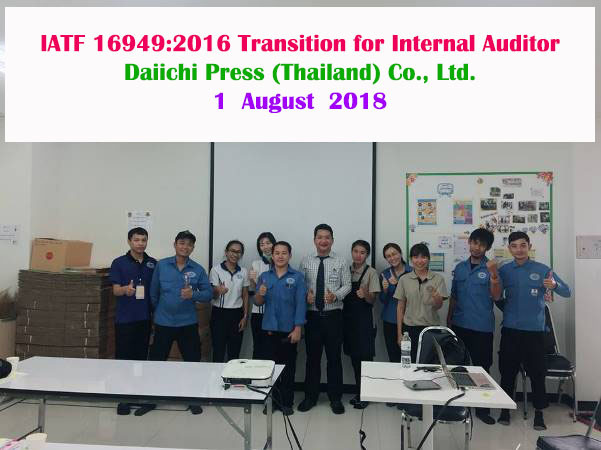 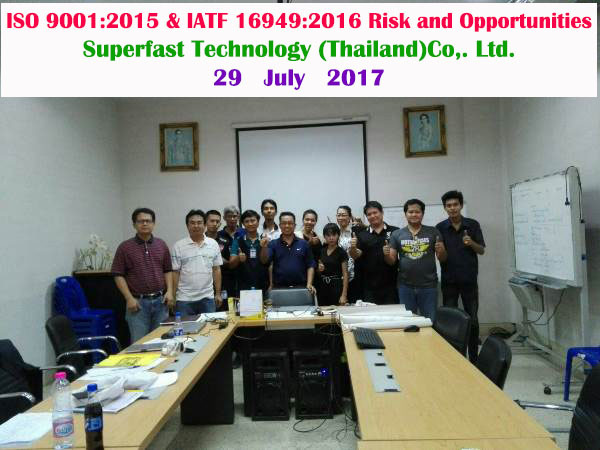 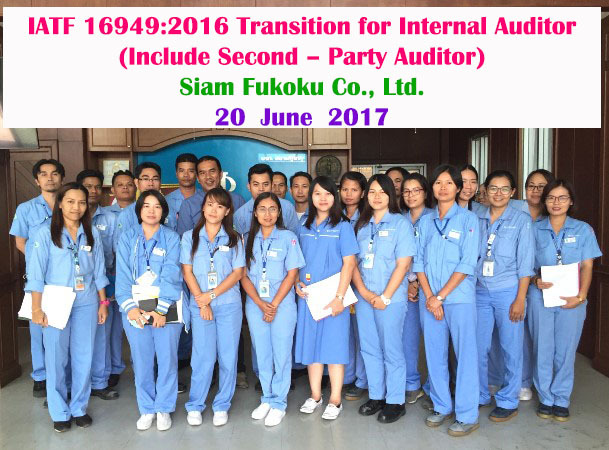 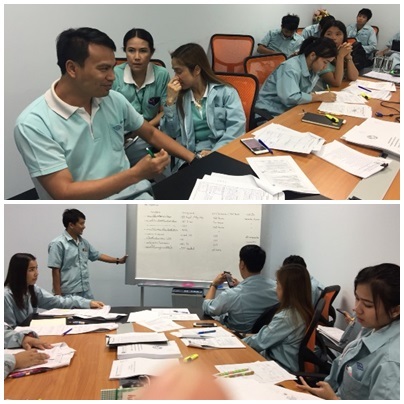 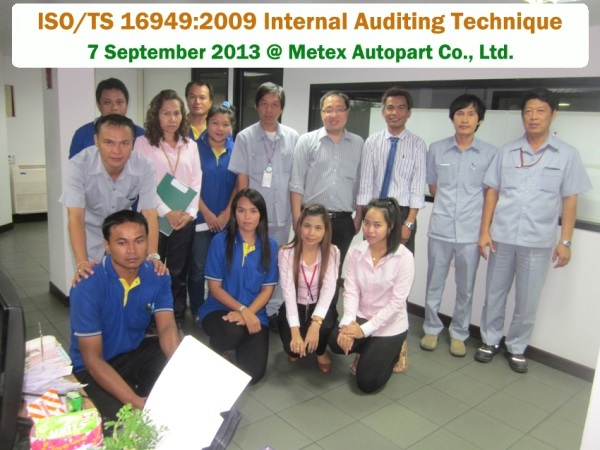 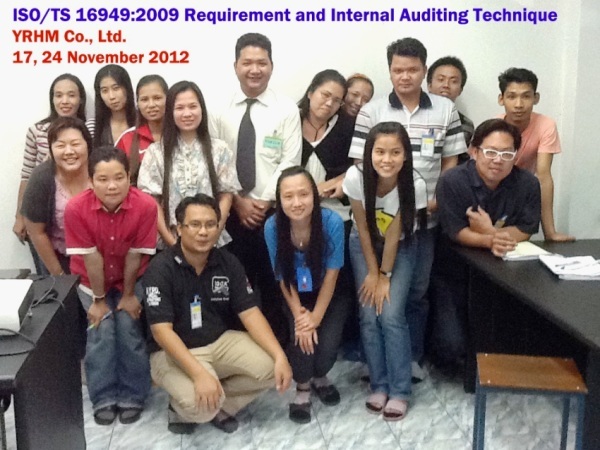 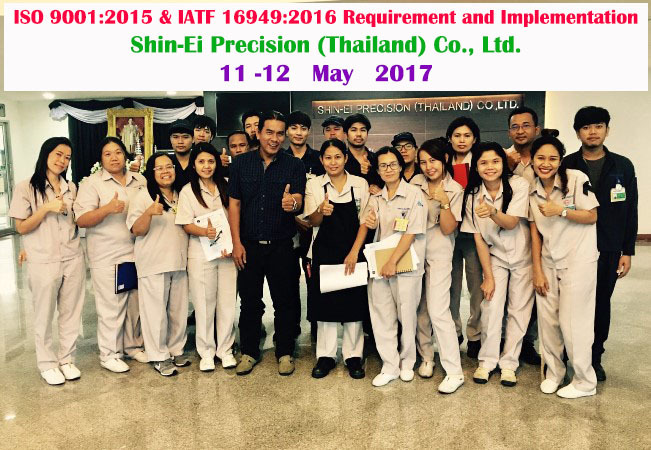 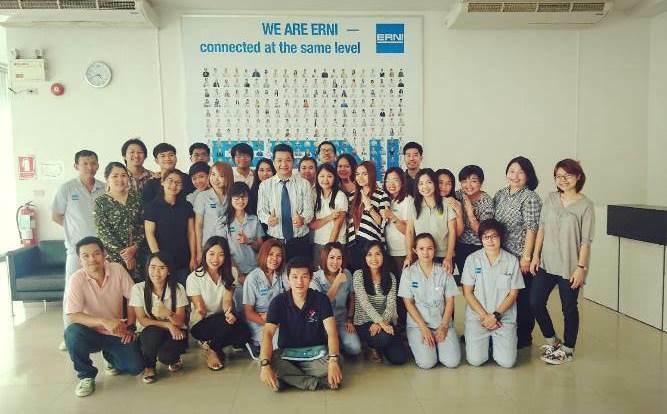 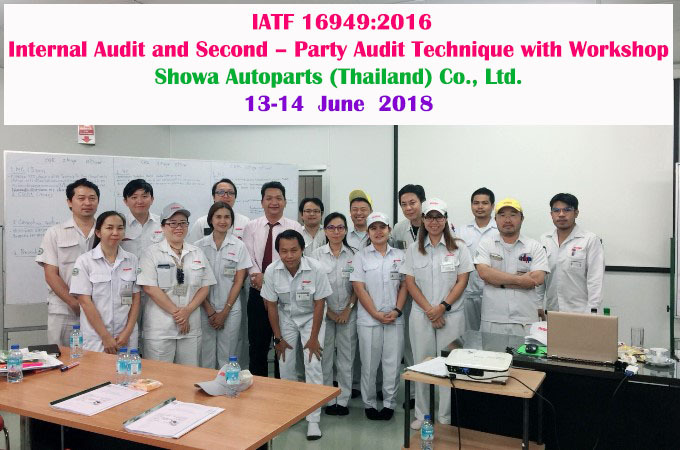 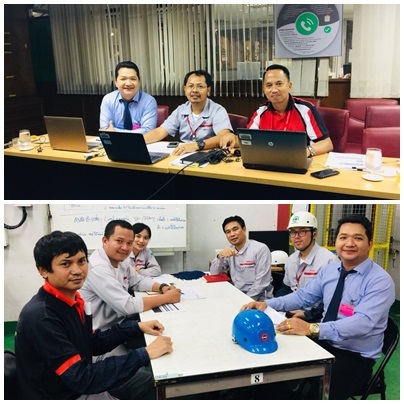 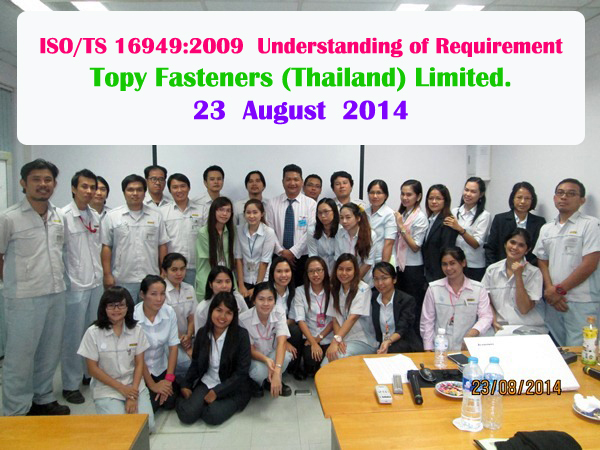 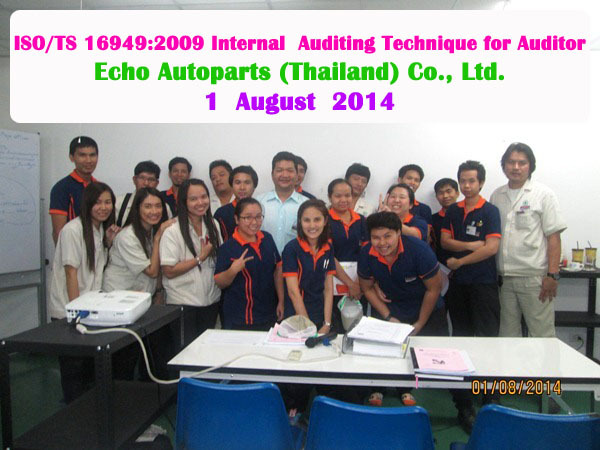 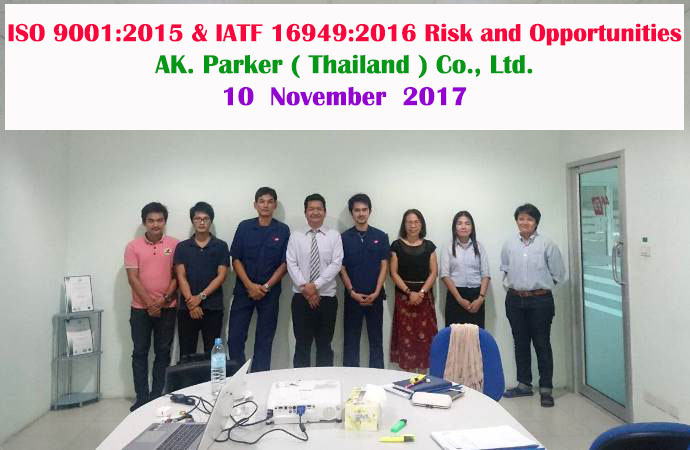 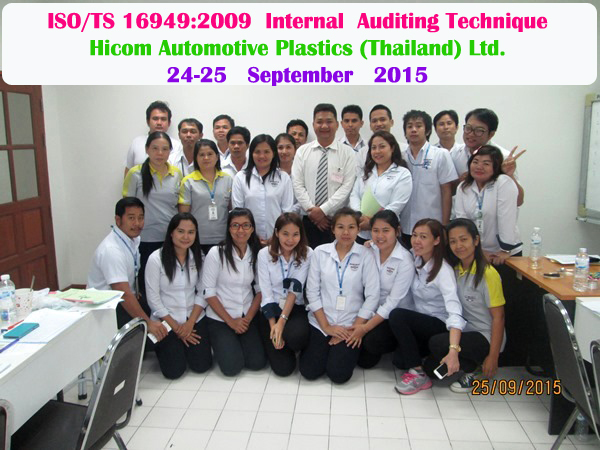 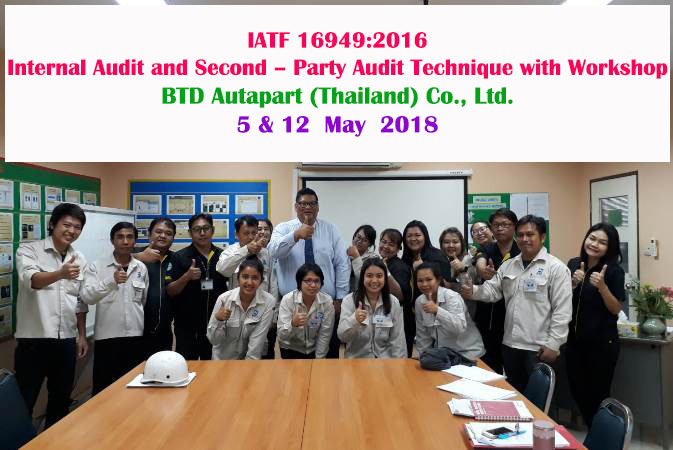 Electech (Thailand) Co., Ltd.
Western Metal Forming Co., Ltd.
Furukawa Automotive Systems (Thailand) Co., Ltd.
Sirieakluck Industry Group Co., Ltd.
Y.R. 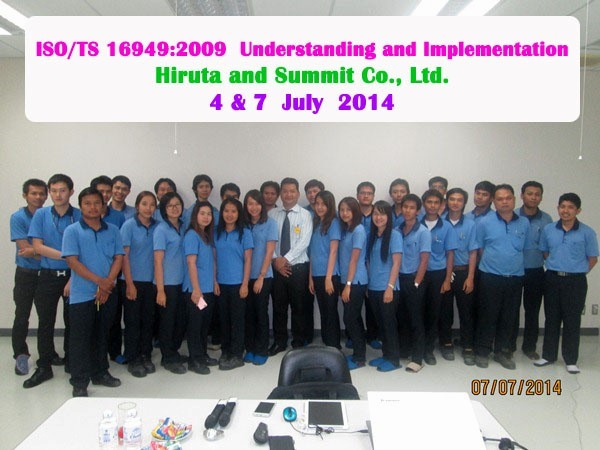 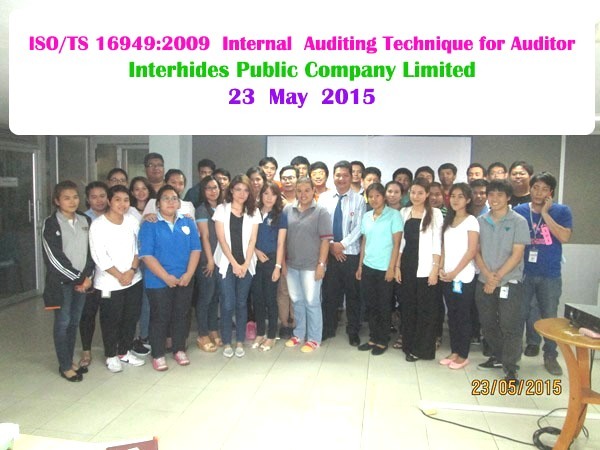 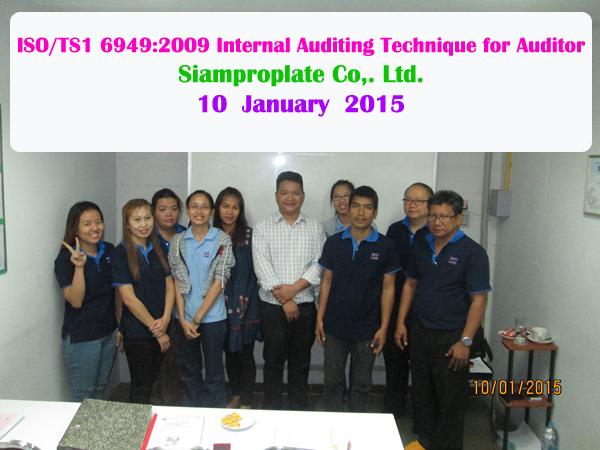 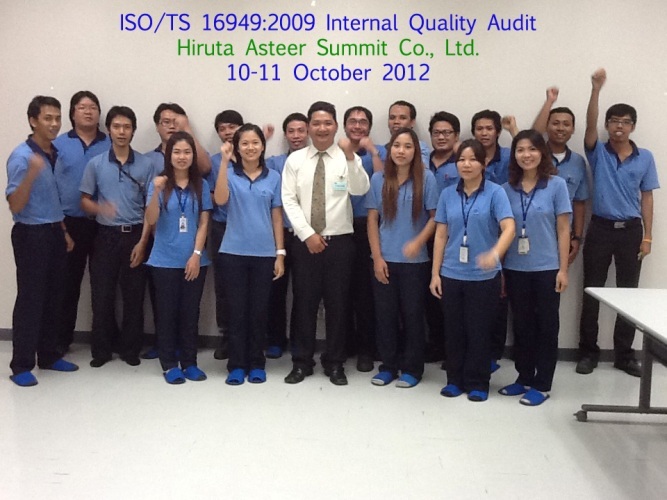 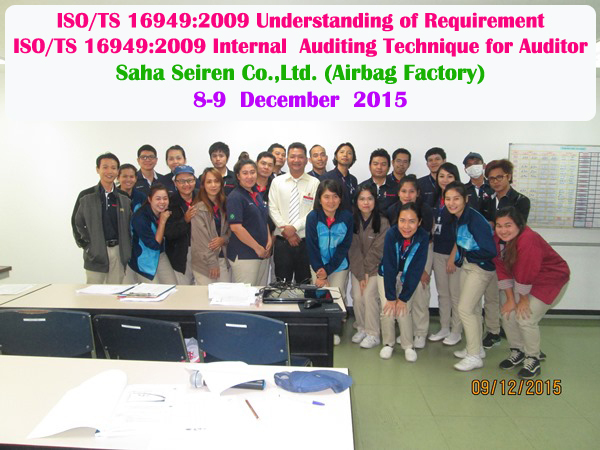 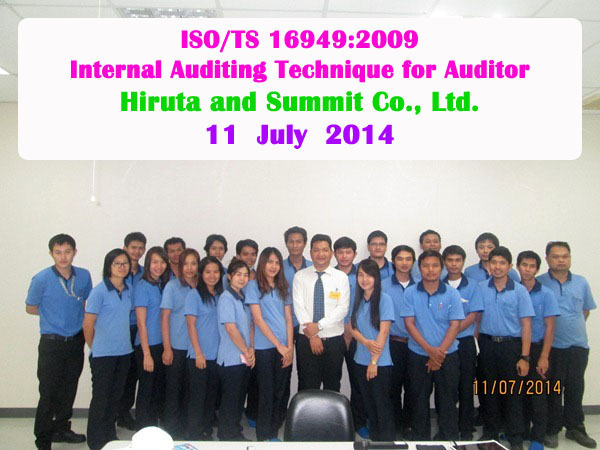 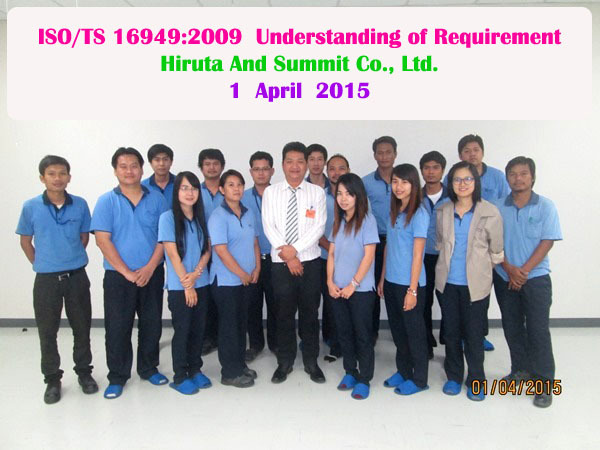 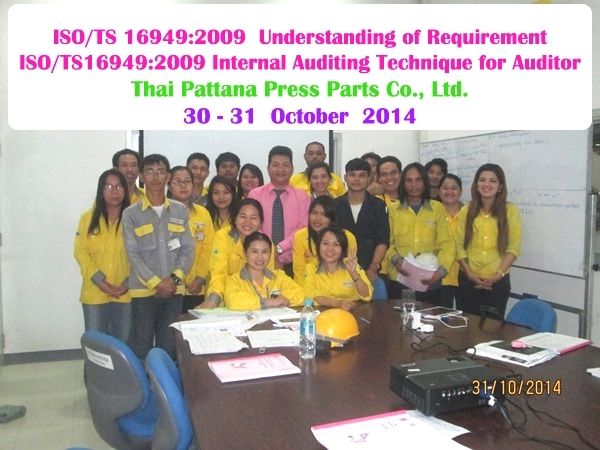 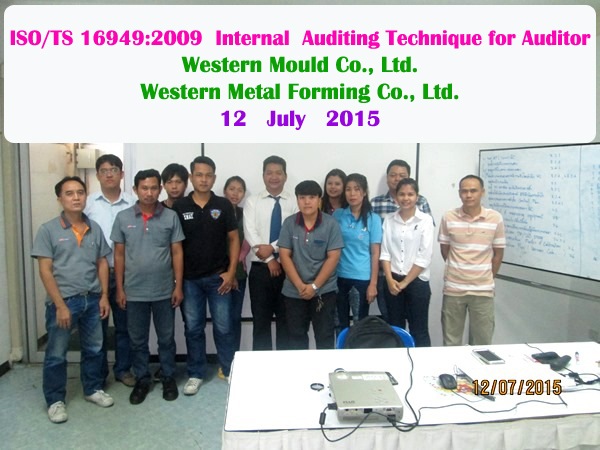 Human Machinery Co., Ltd.
Hiruta Asteer Summit Co., Ltd.